Molly Schugel and Jason Schugel, Allegro Board Chairman and Chief Risk Officer for Ally Financial; Greta Mulhall; Pat Farmer, Allegro Founder & President; His Excellency, Daniel Mulhall, Ambassador of Ireland to the United States; and Dr. John Young, Ireland's First Honorary Consul for North Carolina and Founder of McLaughlin Young Group. 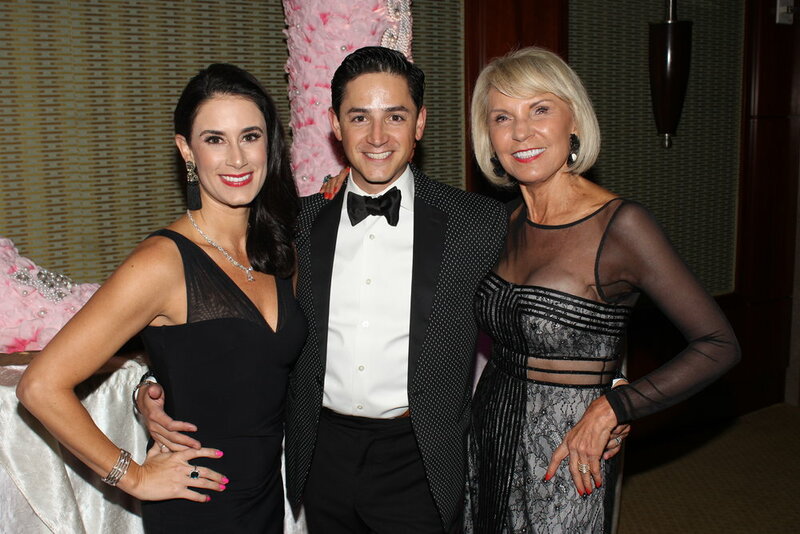 Elizabeth Tanos-Priest, Allegro Foundation Founder and President Pat Farmer and Christina Melissaris. Felipe Gonzalez Edmiston and Bryan Edmiston. 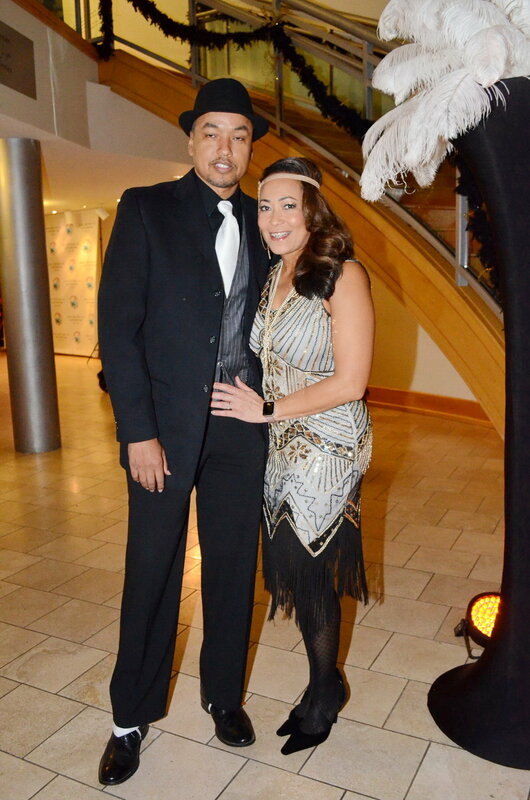 Donna and Al de Molina. Kathy Reichs, internationally renowned author and creator of the TV show, Bones, with her husband, Paul. Larry Sprinkle, Morning Forecaster at WCNC - NBC Charlotte. 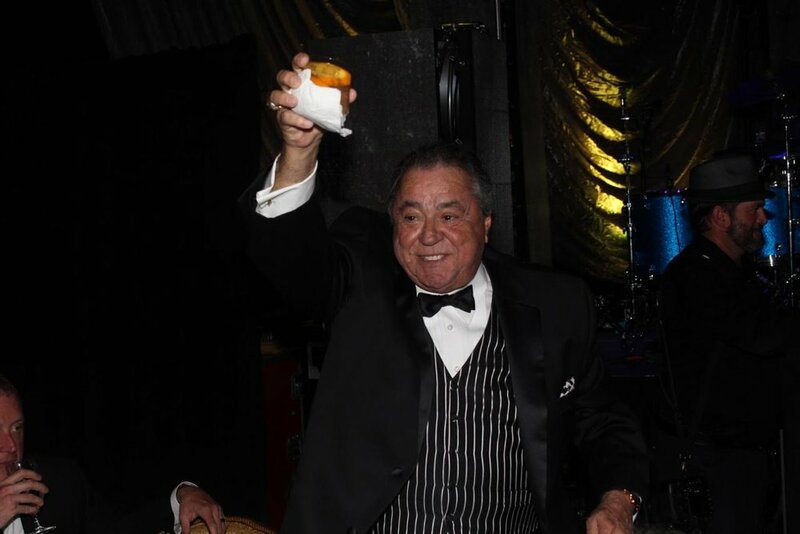 Felix Sabates, host of the Ambassador's Ball and owner of Felix Sabates Mercedes-Benz of South Charlotte. His Excellency Daniel Mulhall, Ambassador of Ireland to the United States. Pat Farmer presents an award to Ernest Perry, Owner and President of Perry's Diamonds and Estate Jewelry. Allegro Student Presenters with their Teaching Assistants from Bailey Middle School in Cornelius. 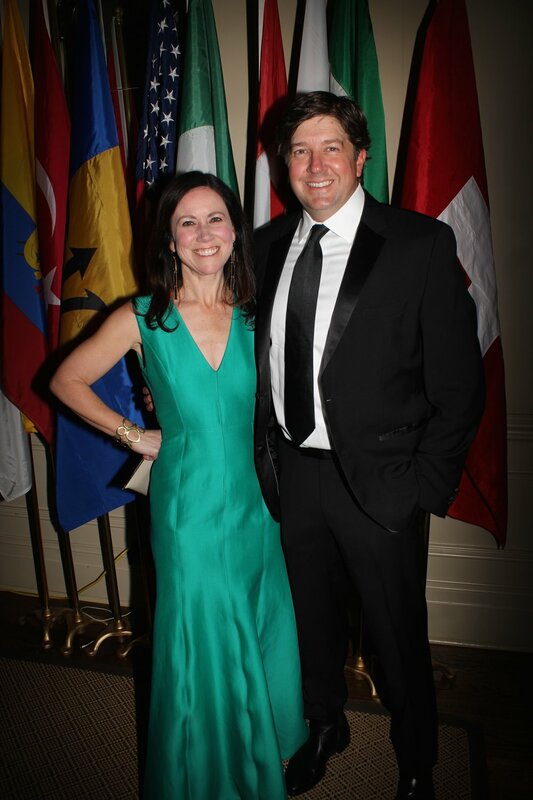 Daniel Mulhall, Ambassador of Ireland to the United States, was the honoree at the Ambassador’s Ball at Quail Hollow Club. 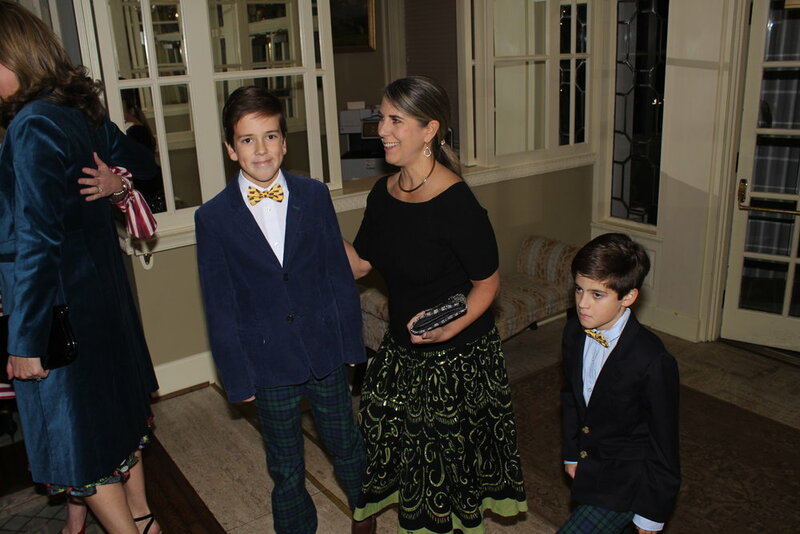 The Irish-themed fundraiser was a benefit for the Allegro Foundation, a Champion of Children with Disabilities. Highlights of the evening were a special performance by the children of Allegro and their teacher assistants, and Ambassador Mulhall’s presentation of a gift of Waterford crystal to the event’s host, Felix Sabates. 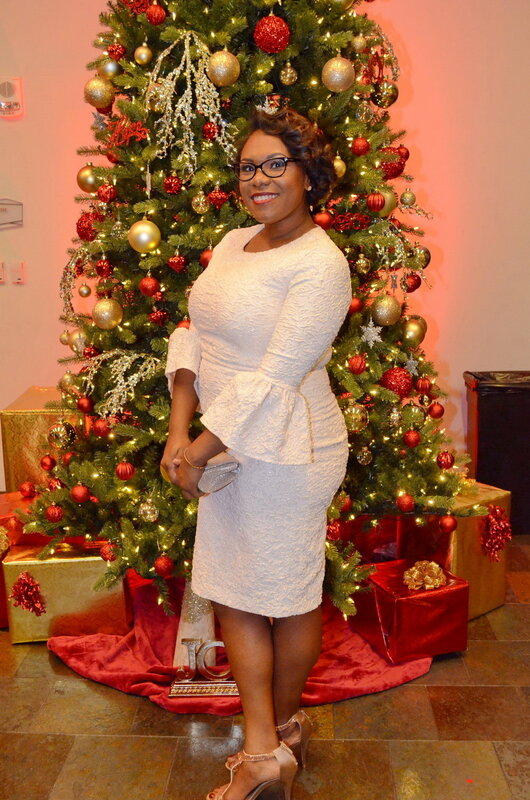 Dr. Tiffani Jones, South Charlotte Chapter of Jack and Jill of America Inc.’s Foundation Chair. 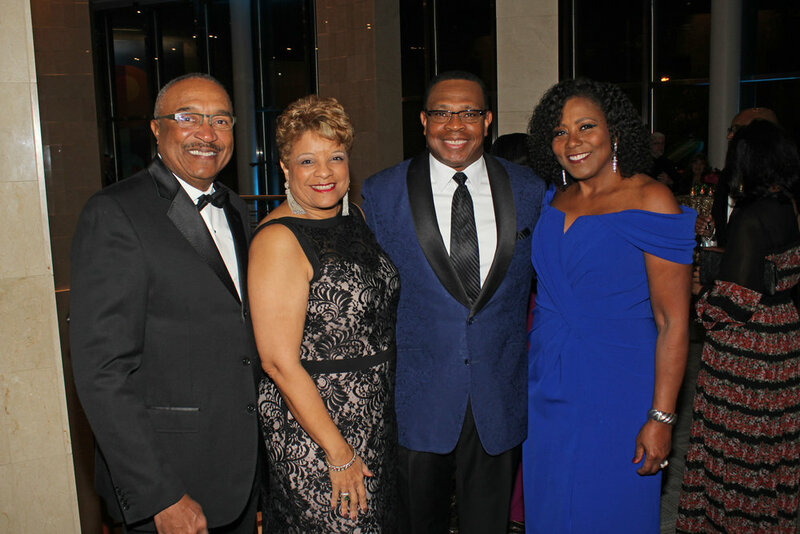 The South Charlotte Chapter of Jack and Jill of America hosted its new signature fundraiser, Harlem Nights, on New Year’s Eve. 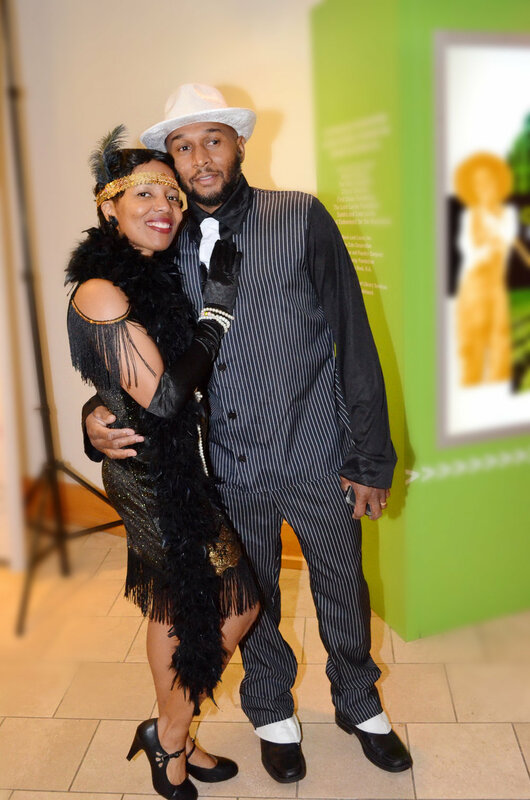 Guests were transported back to the 1920s at the themed event held at the Levine Museum of the New South. 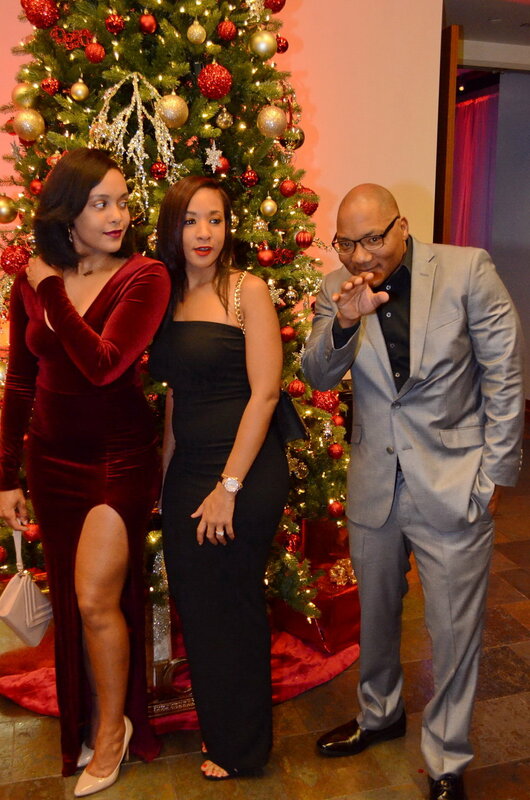 It featured a silent auction, music from DJ Shogun, heavy hors d’oeuvres from Mert’s Heart and Soul, and a chance for guests to view the museum’s art and history exhibits. 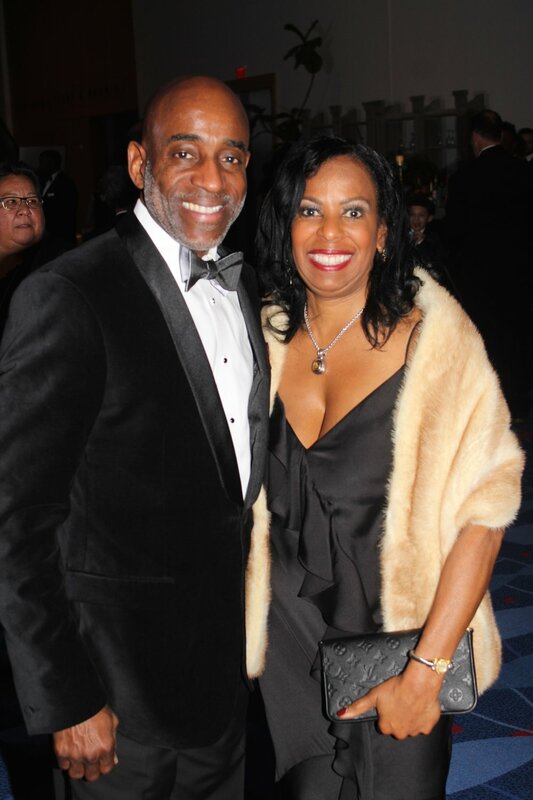 Members of Jack and Jill are committed to investing in programs and services that create a strong foundation for African American children to succeed in life. 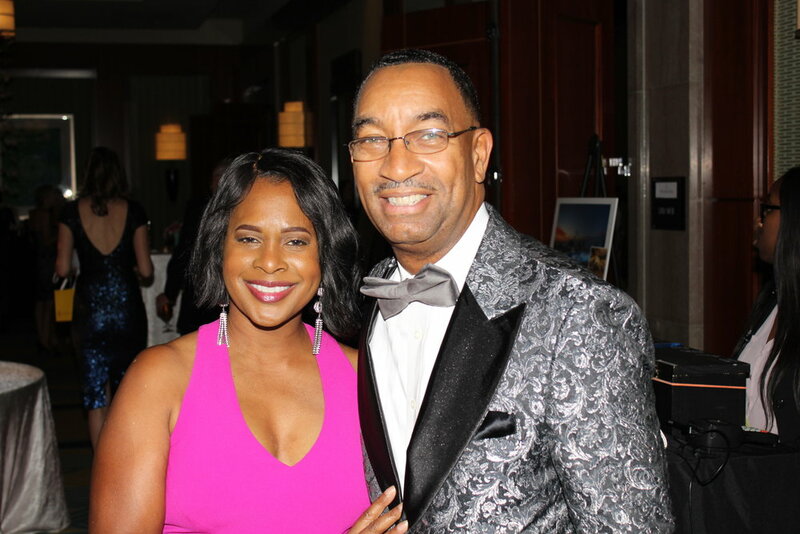 Funds from Harlem Nights will be distributed to three charities through the Jack and Jill of America Inc.’s Foundation: Renaissance West Community Initiative; The Relatives; and Above and Beyond. 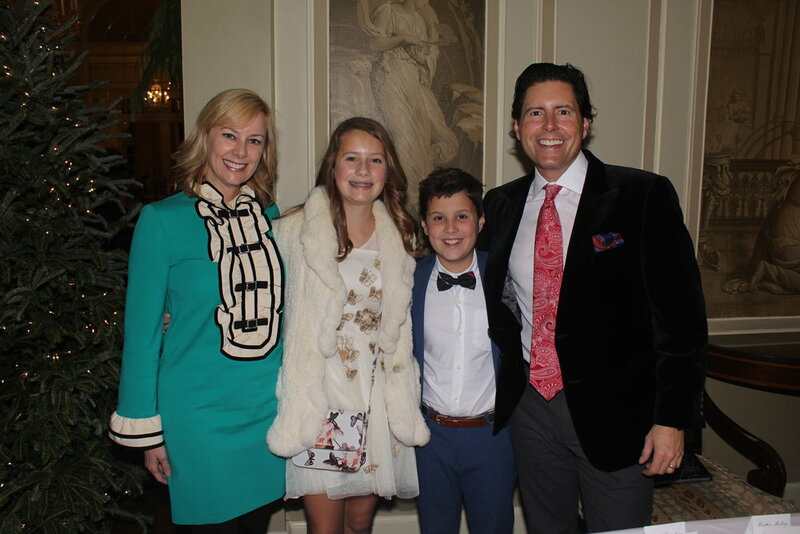 Ashley Anderson Mattei, Scott Mattei and their children were among the families at The Nutcracker Ball. 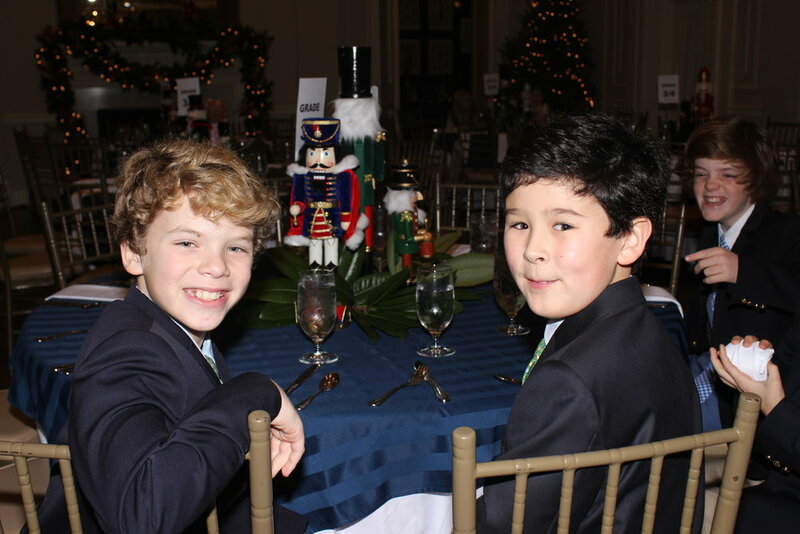 The Nutcracker Ball is a Charlotte tradition founded 30 years ago by a group of families who wanted to create a formal holiday dinner event that would be fun for both parents and children while also raising funds for a worthy cause. 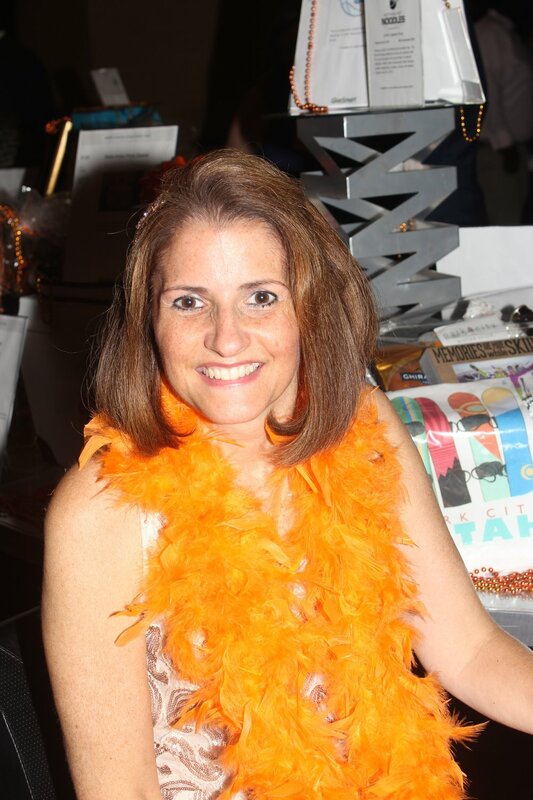 Each year the host committee selects a beneficiary. The 2018 recipient is the Bruce Irons Camp Fund. 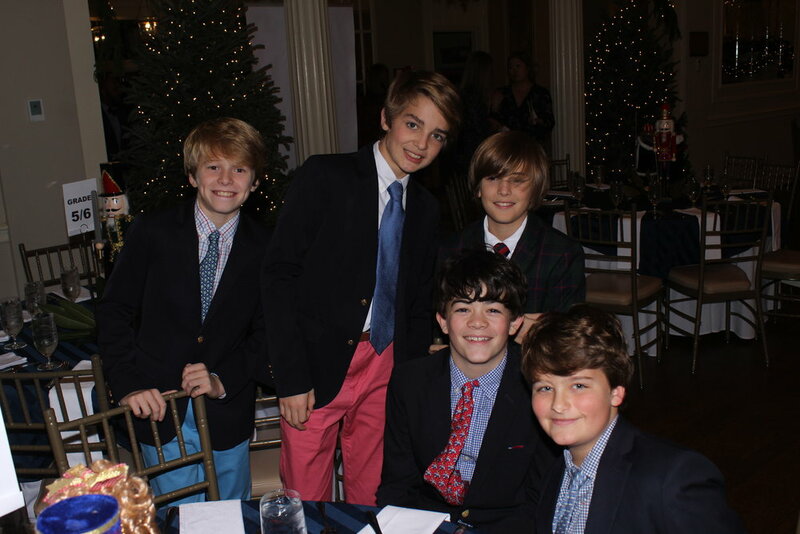 Held at Charlotte Country Club, the evening included classical and contemporary holiday works by dancers from Open Door Studios, a seated dinner, DJ, and dancing. 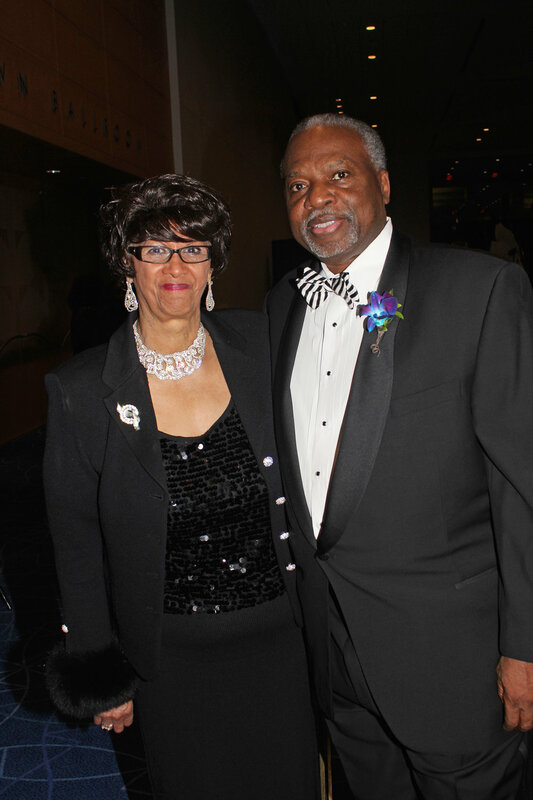 Honoree Dorothy Counts-Scoggins with Gantt Center President & CEO David Taylor. 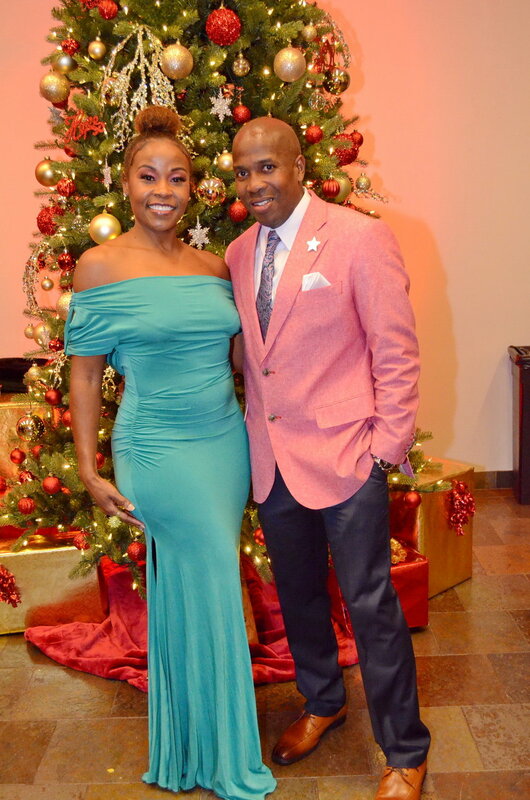 Each year the Harvey B. Gantt Center for African-American Arts and Culture hosts the Jazzy Holiday Gala. It honors the work of individuals and organizations working to impact and uplift the community through arts, history and culture. 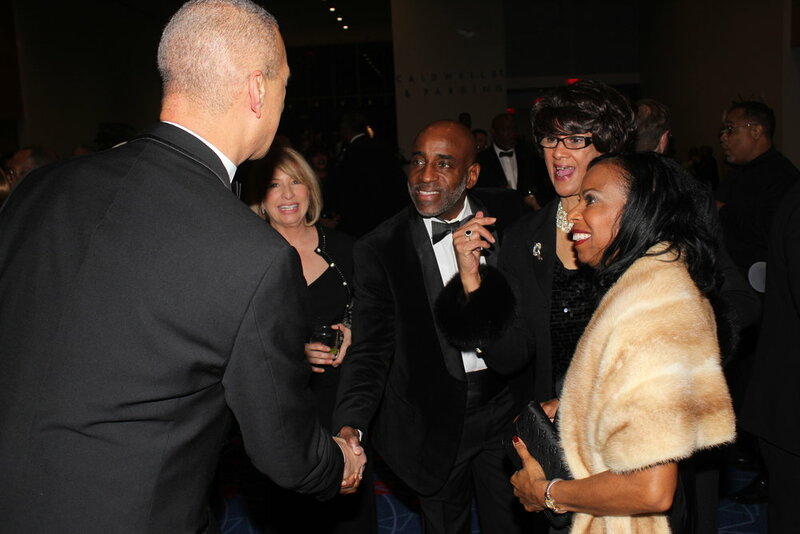 Guests at the black-tie gala help support the programs that provide access for all to African-American arts, history and culture. 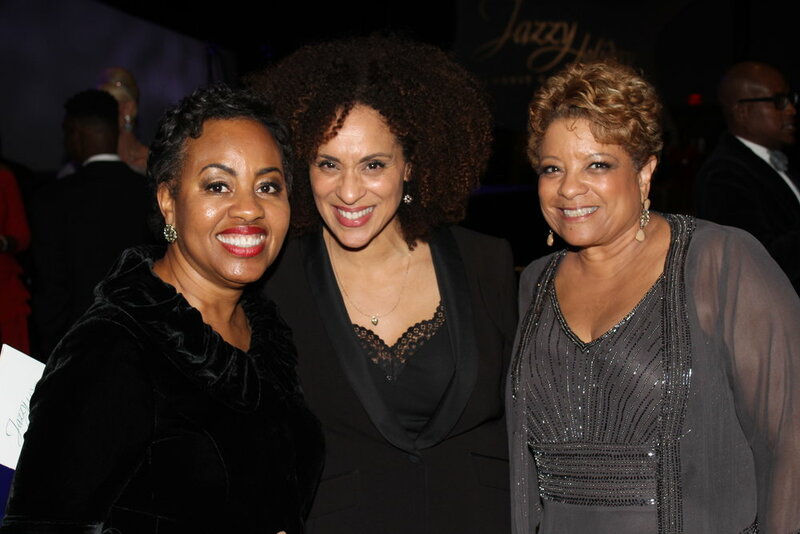 This year’s honorees were retired educator Dorothy Counts-Scoggins; Northwest School of the Arts; and actress Karyn Parsons. 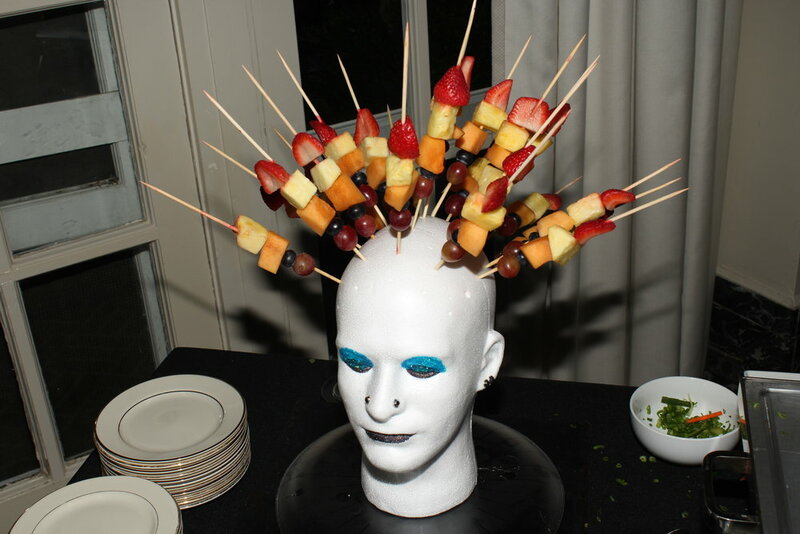 Along with networking, the evening included artistic performances, dinner and cocktails. 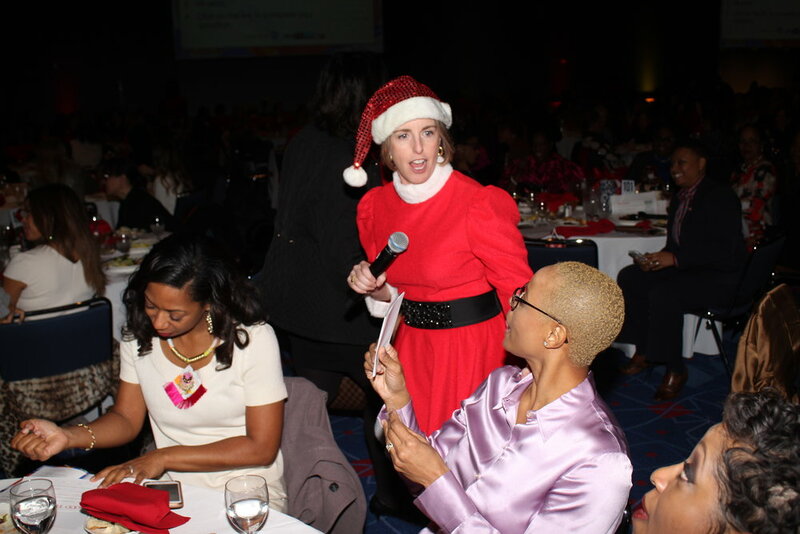 Good Friends Charlotte, an all-female nonprofit, raised more than $500,000 for Charlotte’s neediest during its 32nd Annual Holiday Luncheon. 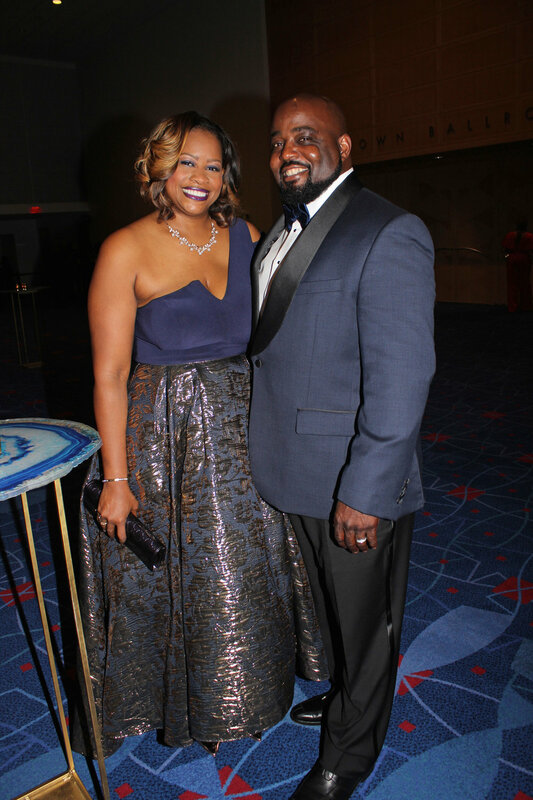 The donations were from the 1,800 guests who filled a ballroom of the Charlotte Convention Center as well as corporate sponsorships including $75,000 from presenting sponsor Wells Fargo Foundation. 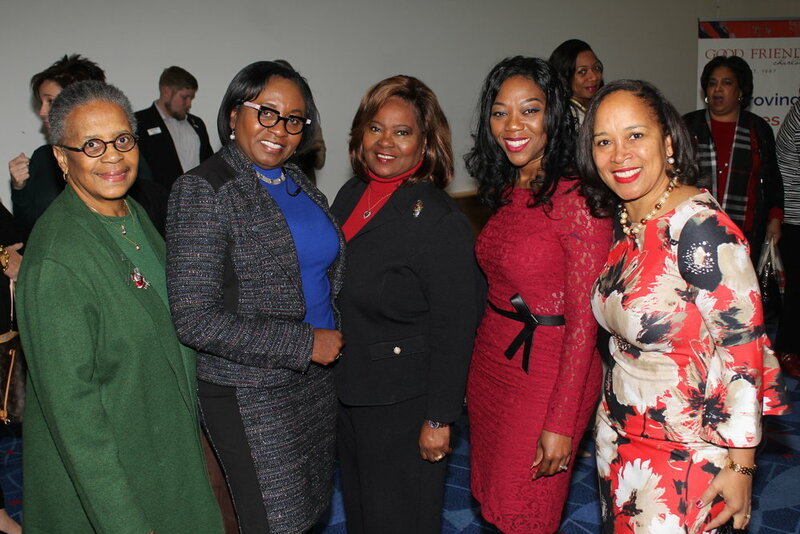 Speakers including Sonja Gantt, executive director of the Charlotte-Mecklenburg Schools Foundation, helped encourage donors to give by telling stories about those who had been helped by Good Friends. Good Friends works with 80 nonprofit agencies to identify and help families and individuals who need assistance with everything from rent and utilities to emergency needs. To join Good Friends, go to goodfriendscharlotte.org. 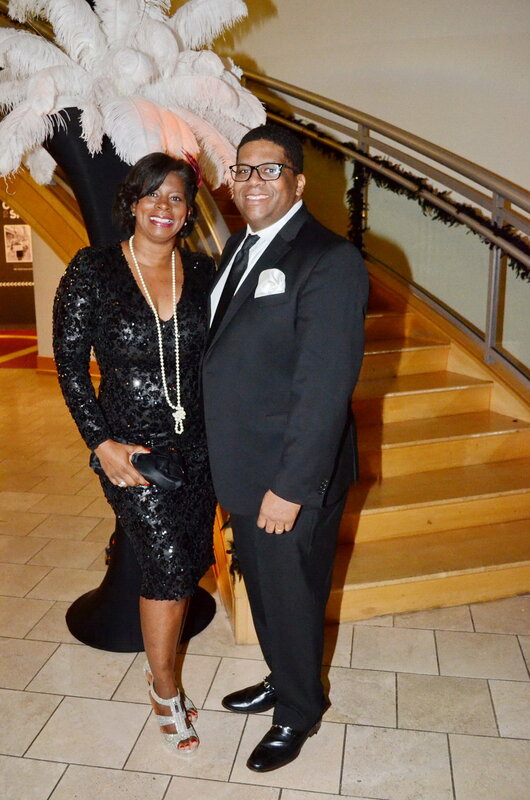 Gala chairs Jesse and Angela Cureton. A model shows off a fantastical design made from recycled opera programs during the cocktail hour. Models in designs made from recycled opera programs during the cocktail hour. 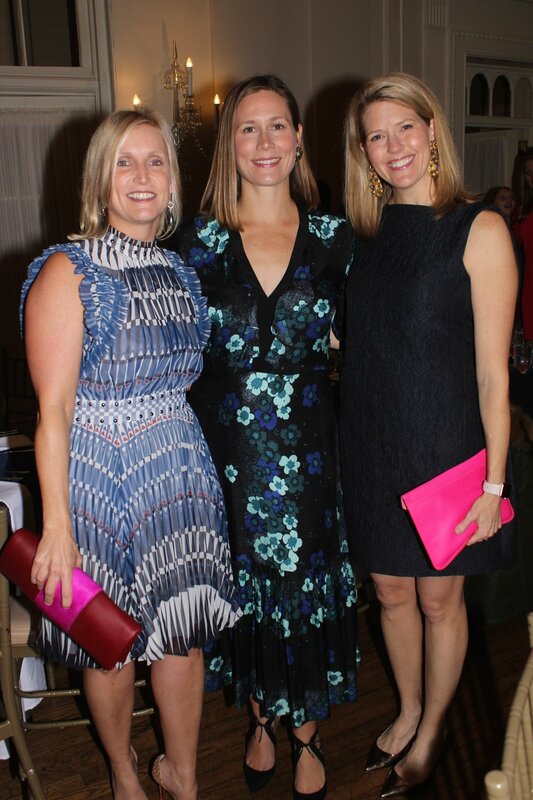 Pam Stowe, Laura Vinroot Poole and Lisa Dargan. Star tenor David Walton performs during dinner. 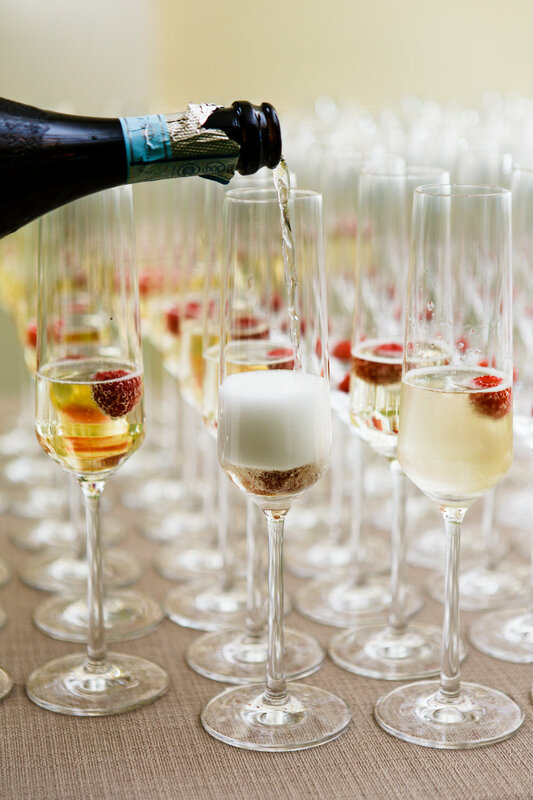 Opera Carolina’s Bella Notte Gala is always one of Charlotte’s most enchanting evenings. 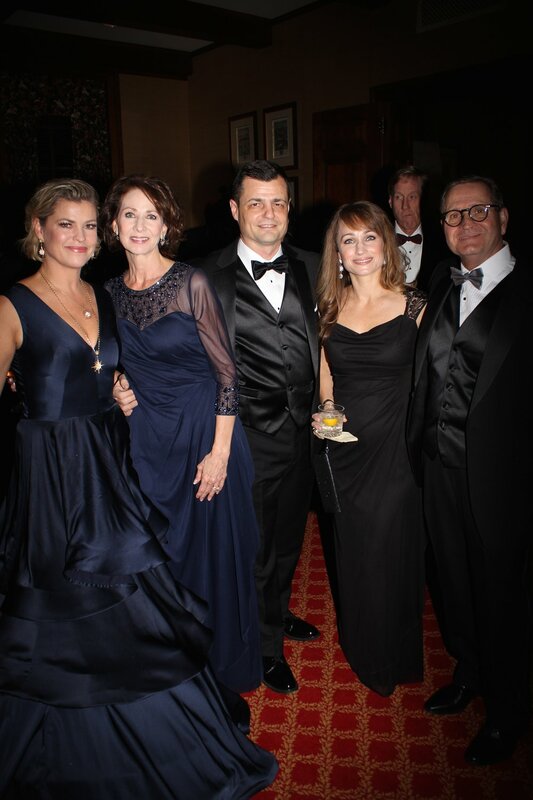 This year’s fundraiser for our region’s premiere opera company was held amid the scenery for the season opening production of Donizetti’s Daughter of the Regiment. Gala Chairs Angela and Jesse Cureton joined the guests for an elegant evening that included a cocktail hour with models wearing fantastic designs made from recycled opera programs. 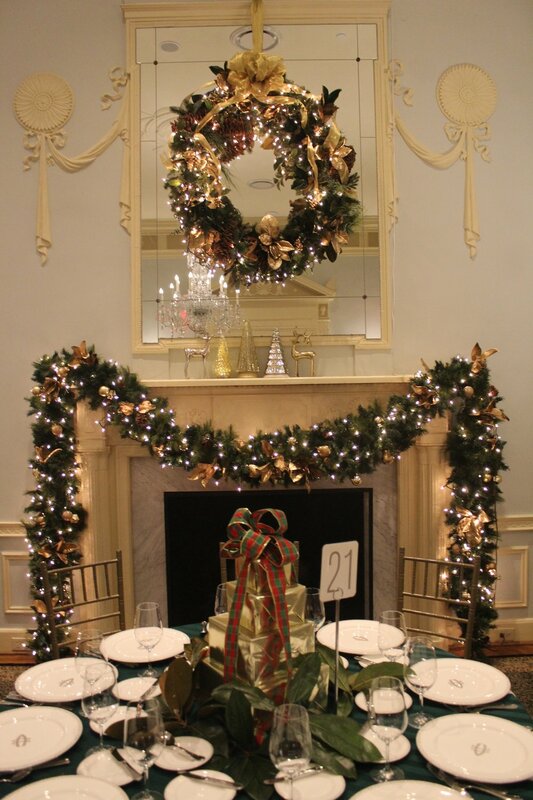 The seated dinner featured exquisite decor by John Lupton Events. 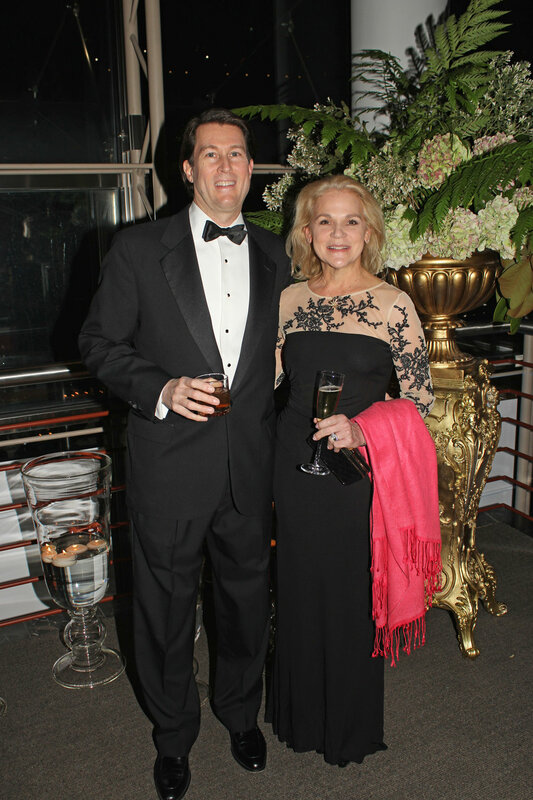 Opera stars performed for guests before everyone ending the evening on the dance floor. 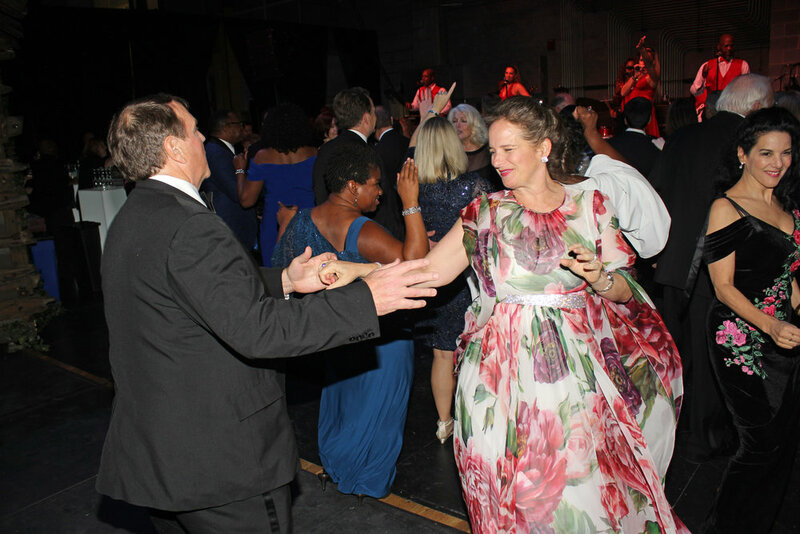 Puttin’ On The Ritz was the theme of this year’s Pink Boots Ball, a fundraiser for Carolina Breast Friends. 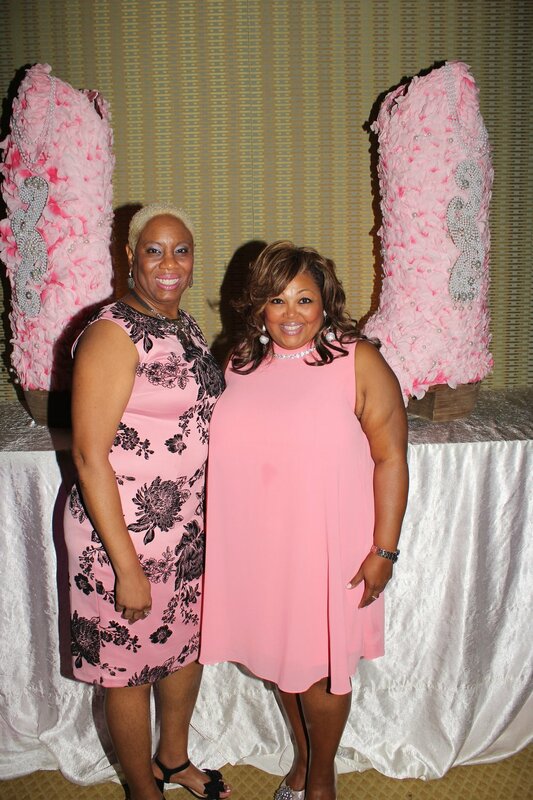 Proceeds support the nonprofit’s mission of helping women during every stage of their breast cancer journey - from diagnosis, surgery, chemotherapy and radiation treatments, living with metastasis, remission; or the fear of recurrence. 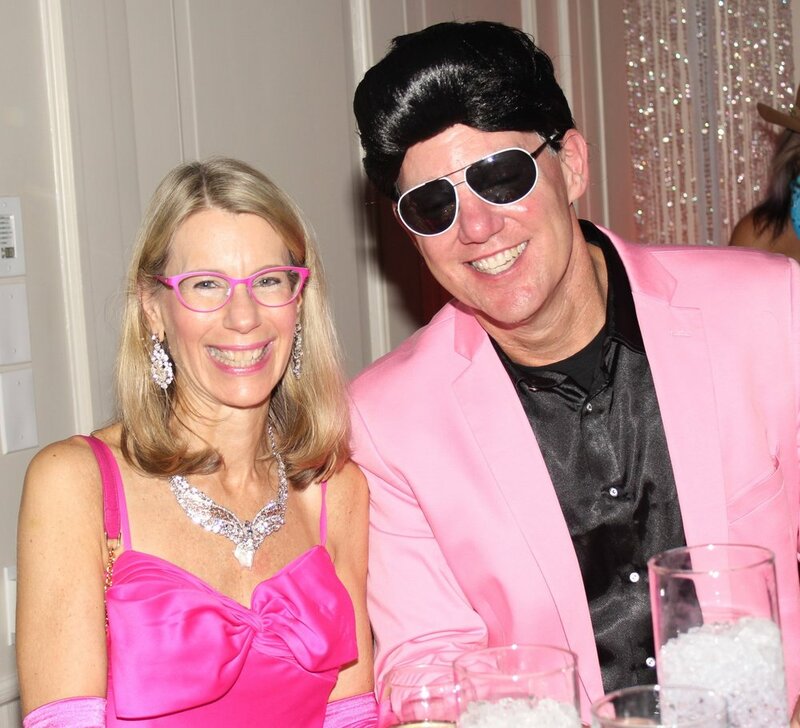 Held at the Ritz-Carlton, the pink infused party included cocktails, dinner and dancing. carolinabreastfriends.org. 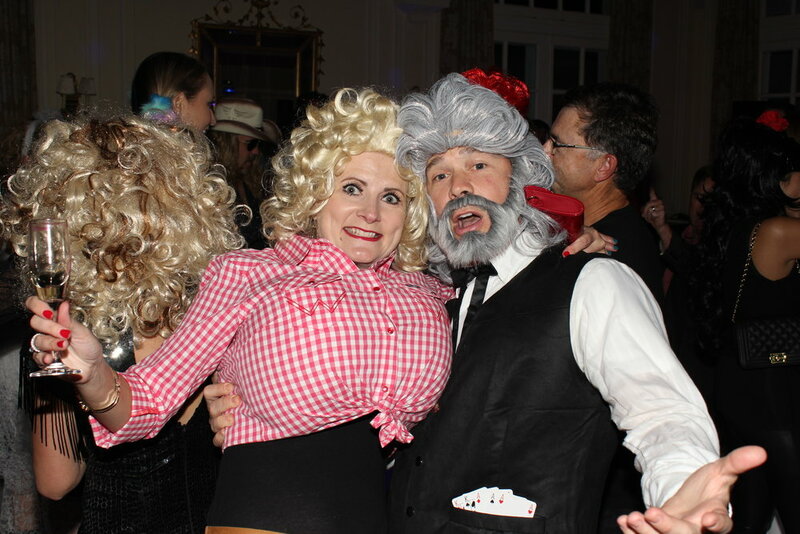 Every guest was a star at the Legends of Music Costume Party held at Duke Mansion to raise funds for the historic site’s Preservation Society. 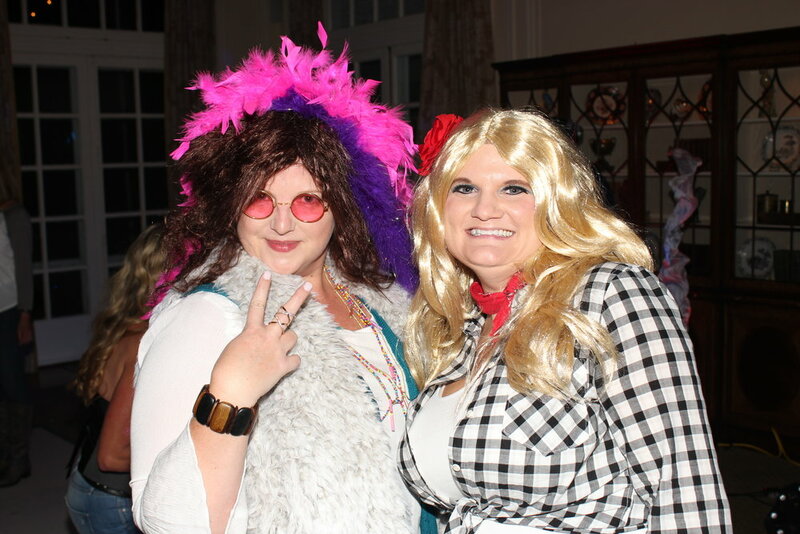 Partygoers dressed as their favorite music legends from any musical era and rocked out to tunes from Hey DJ! 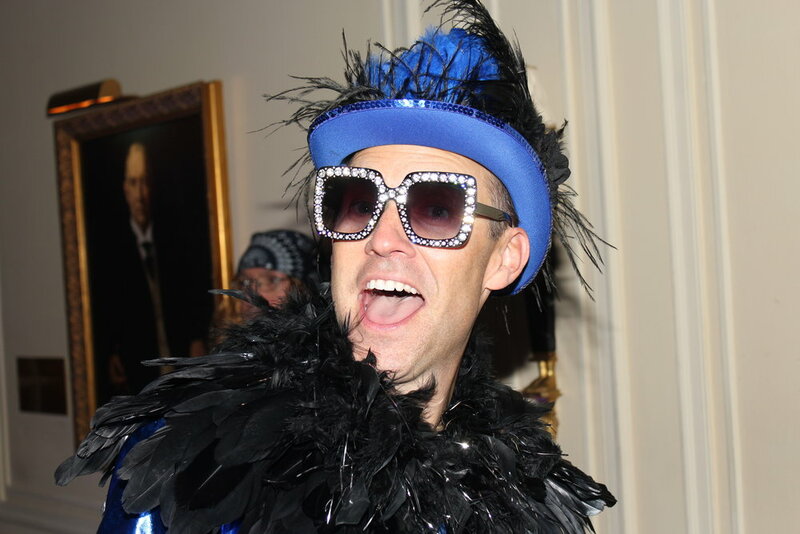 There was also a Rat Pack Lounge for karaoke, over-sized outdoor games on the lawn and a silent auction. Executive Chef Harrison Booth created a clever menu of food and drinks including Cheeseburger in Paradise Sliders, a Yellow Submarine Sandwich Station and We Got The Beet Salad. 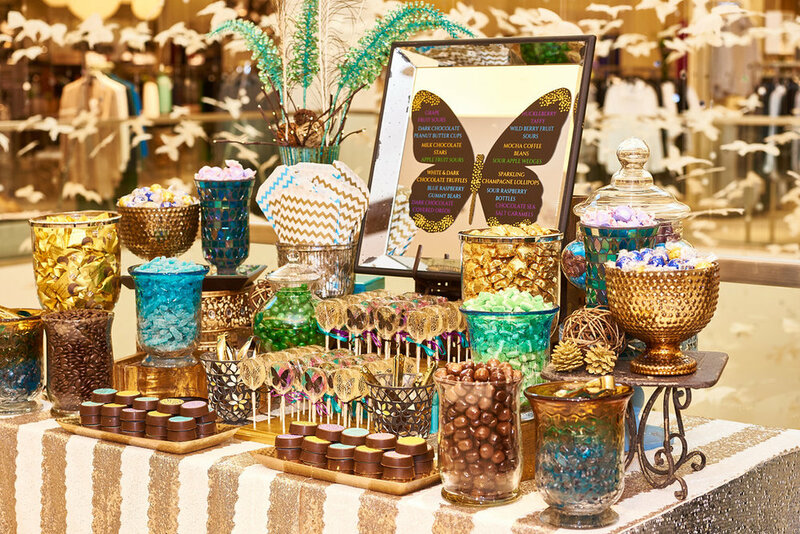 His fun desserts were Elvis’ Peanut Butter Banana Cake, Microphone Cake Pops and colorful cookies that looked like vinyl records and music notes. 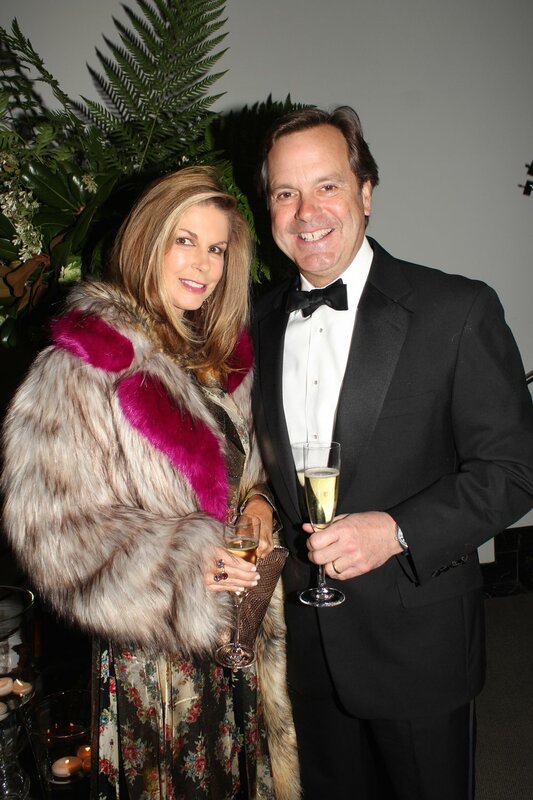 Kristine Matthews of Neiman Marcus and Bob Scheer. 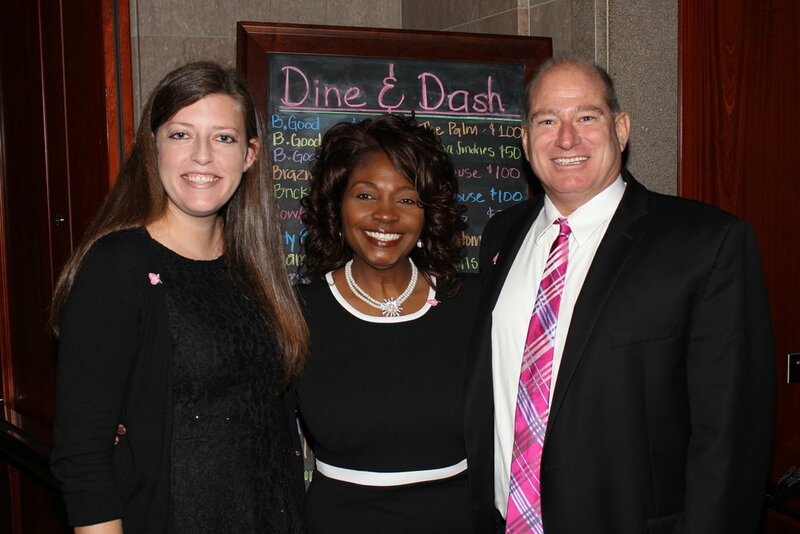 Patti Tracey, Annie Carlano, the Mint Museum’s new president and CEO Todd Herman and Kim Blanding. Delectables by Holly catered the event. 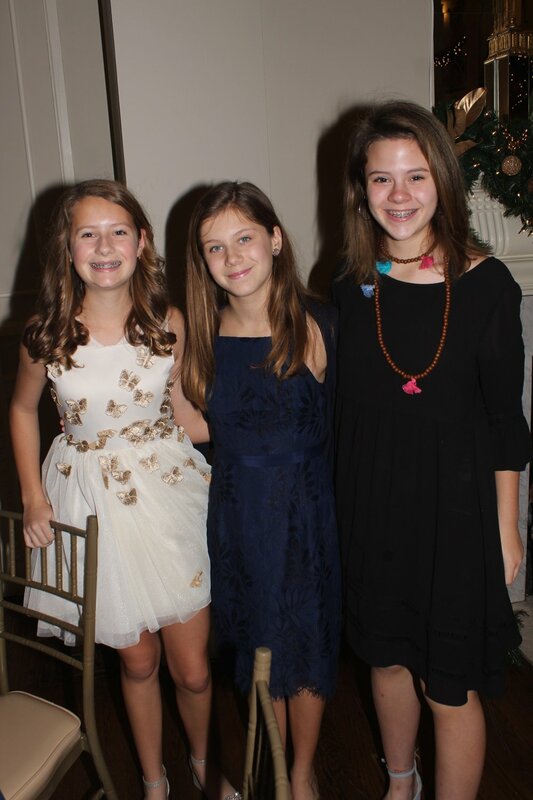 The Mint Museum’s Annie Carlano, Hillary Cooper and Ellie Osborn. DJ Trife from Scratch Events. 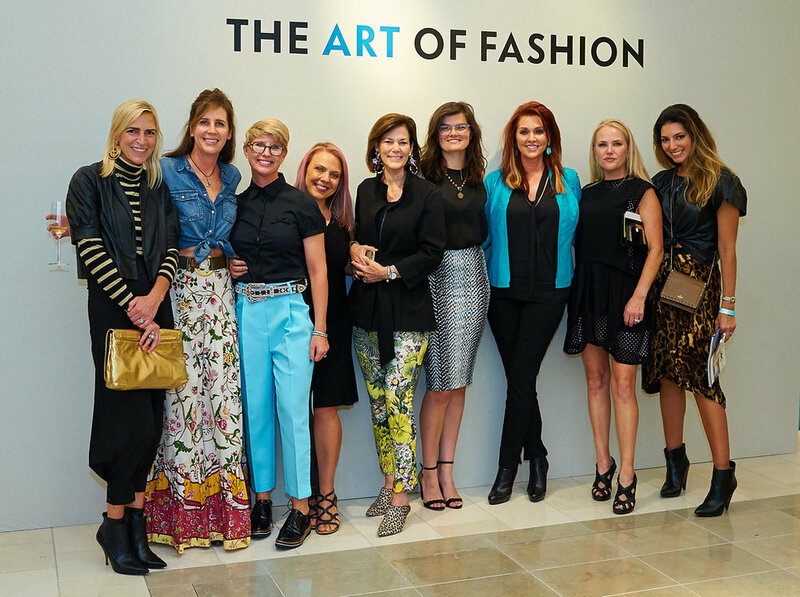 Neiman Marcus at SouthPark mall celebrated Fall fashion and The Mint Museum during The Art of Fashion benefit. 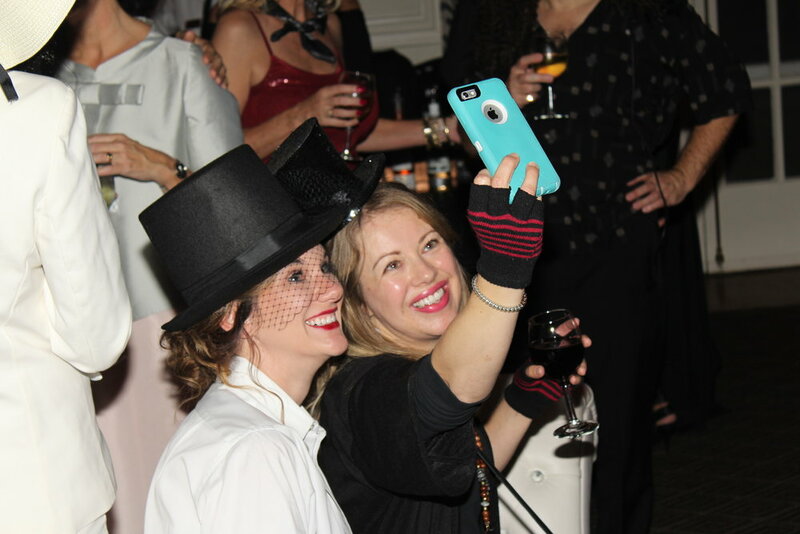 During the fun evening, stylish guests enjoyed drinks and hors d’oeuvres from Delectables by Holly and and beats from DJ Trife. 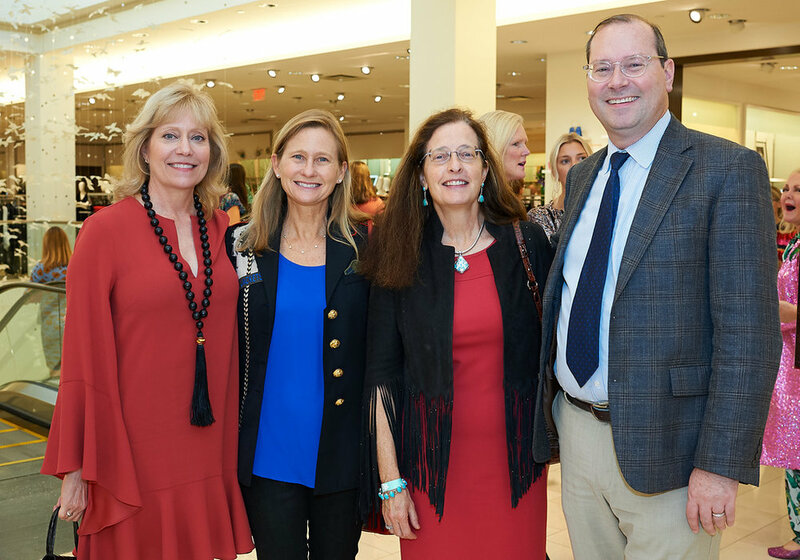 Before the runway show, Neiman Marcus of Charlotte’s vice president and general manager Kristine Matthews thanked the guests and introduced The Mint Museum’s charming new president and CEO, Todd Herman. Then the models showcased the newest luxurious looks for Fall and Winter. To see all the stunning runway looks, go to the Fashion section. For the runway looks for men, go to the Men’s section. Second Harvest Food Bank of Metrolina CEO Kay Carter, second from left, with supporters. Ernest Perry and his daughter, Hadley Perry Pacheco. Two of the charming “Shoe Guys” who were there to assist guests. Guests shop at the Perry’s Diamonds & Estate Jewelry booth. 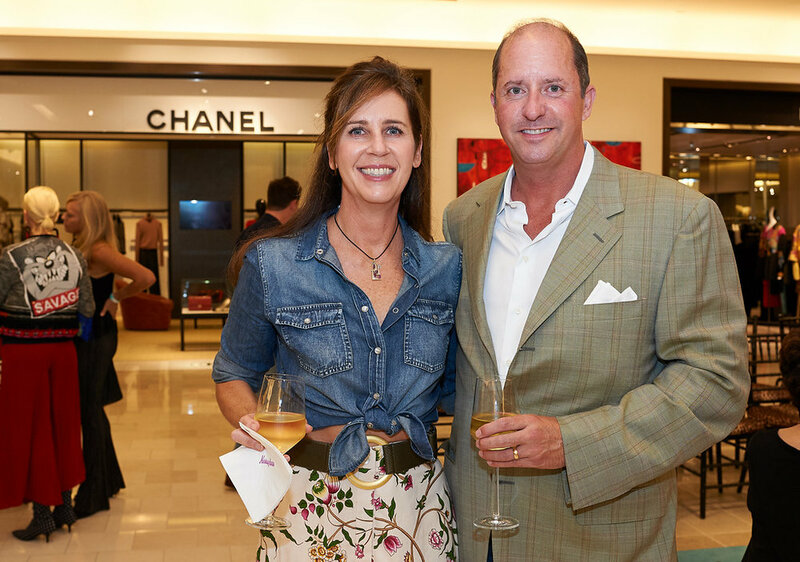 That was the motto of Wine, Women & Shoes, a benefit for Second Harvest Food Bank of Metrolina held at the WestIn. 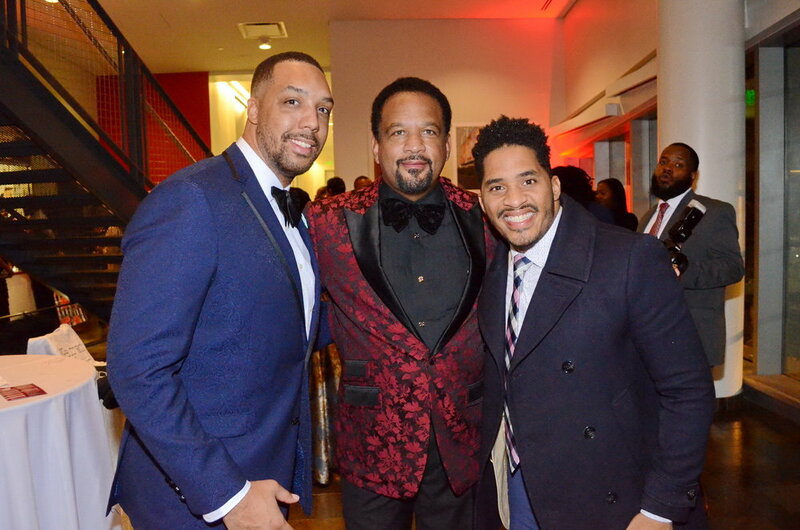 The guests did not disappoint They showed up looking fashionable and ready to give back by shopping for the cause. 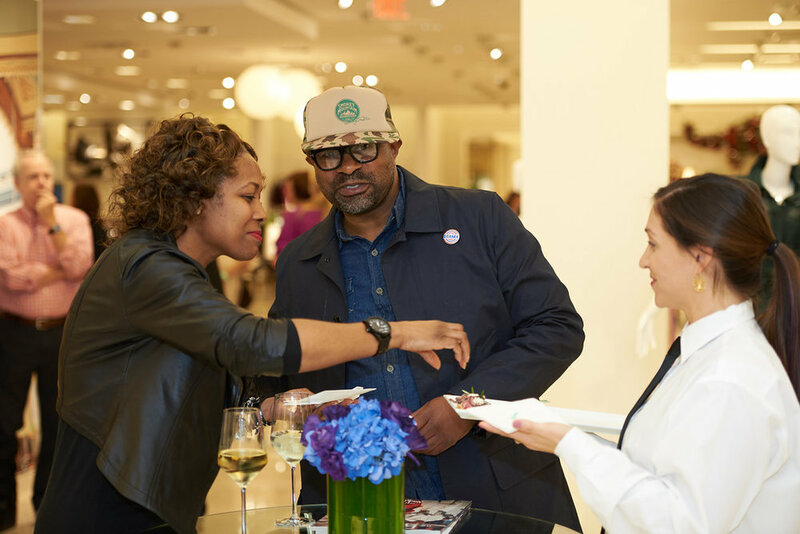 There was also a wine tasting, savory bites, luxury vendors, a fashion show and more. Proceeds go to Second Harvest Food Bank of Metrolina’s mission of fighting hunger in the Metrolina region through food distribution, programs, education and advocacy. Every $1 donated provides seven pounds of food. Emcee WBTV anchor Maureen O’Boyle and Dress For Success Charlotte executive director Kerry Barr O’Connor with Paradigm Award winner Paul Silas and Joi Gordon, president and CEO of Dress for Success Worldwide. Paradigm Award winners Paul and Carolyn Silas. 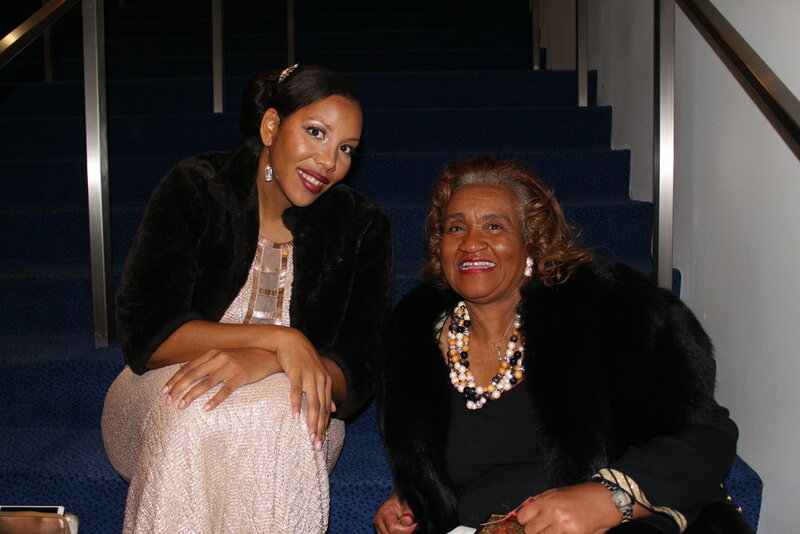 Joi Gordon and Pam James. Dress for Success board chair Edie Fletcher. 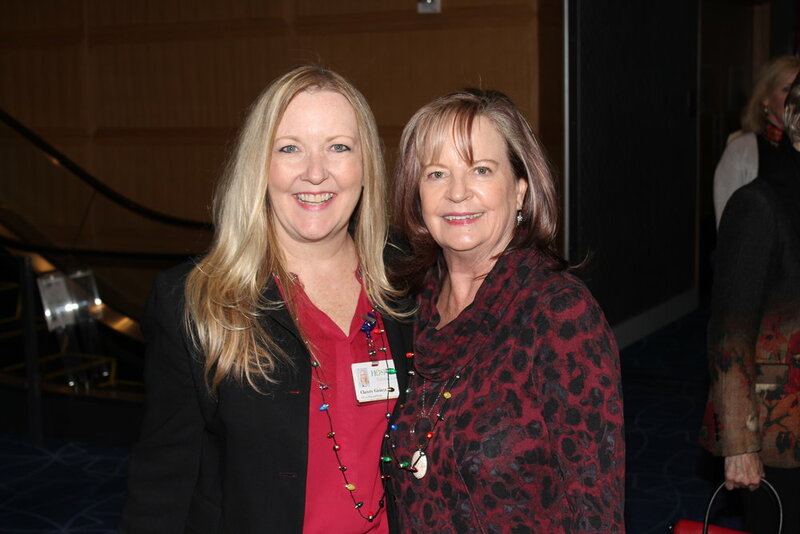 Dianne Roth and Sandra McCaslin. 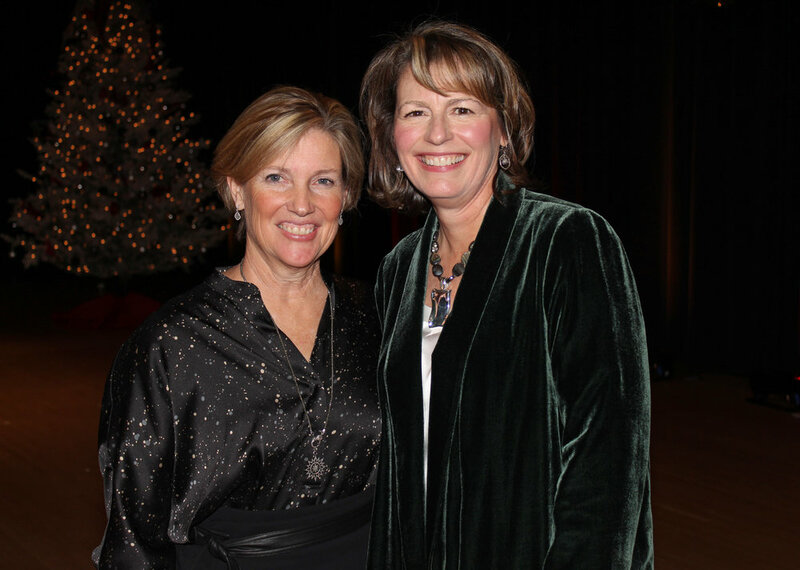 Jill Dinwiddie and Barbara McLaughlin. Joi Gordon and Kerry Barr O’Connor. Suzanne Libfraind and Bernadette Maulion. 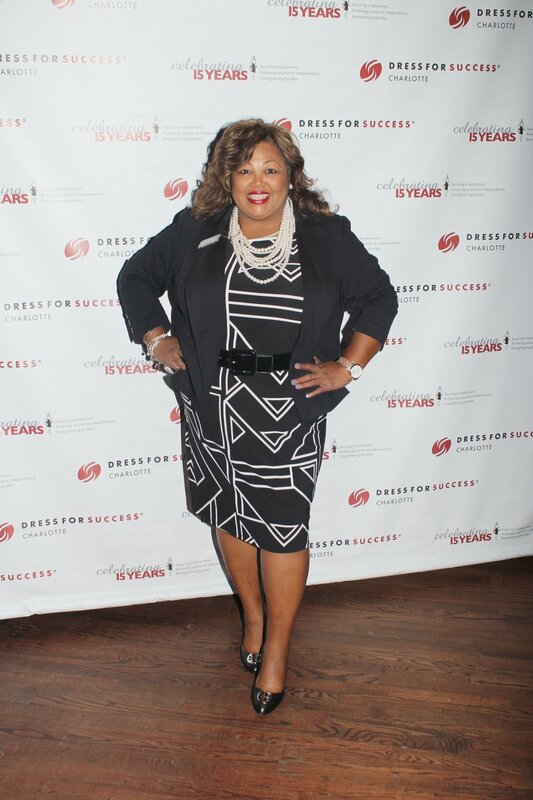 Dress for Success board member Ellen Holliday. Stiletto Swagger participants hand out calendars to guests. 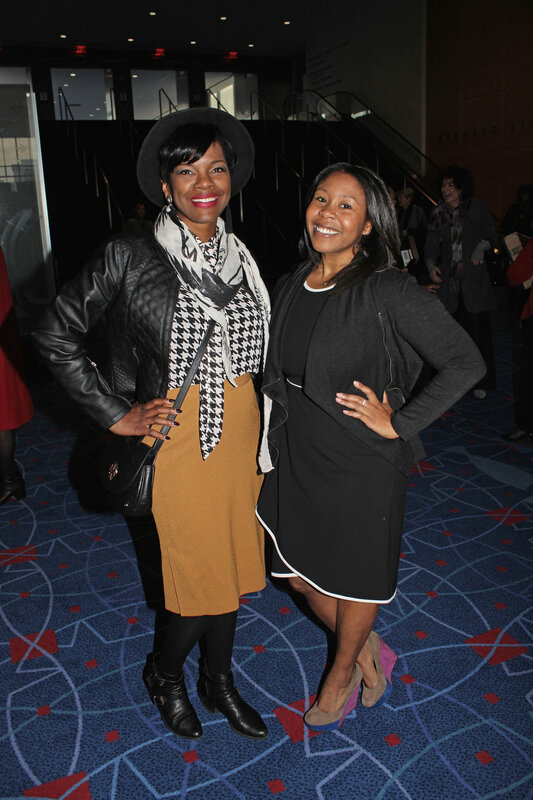 Dress For Success Charlotte’s Ultimate Power Lunch fundraiser at the The Fillmore was a sold-out event. 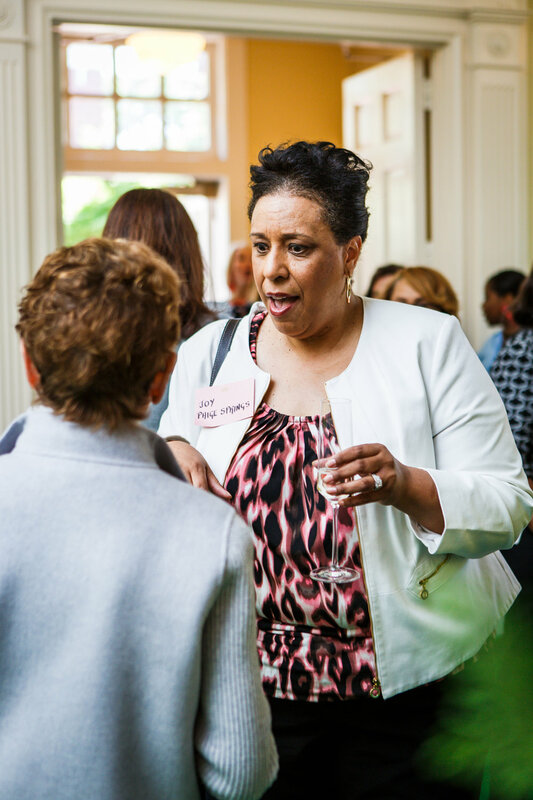 Some of Charlotte’s most powerful women and men gathered to help the nonprofit with its mission of empowering women to achieve economic independence by providing a network of support, professional attire and the development tools to help them thrive in work and in life. 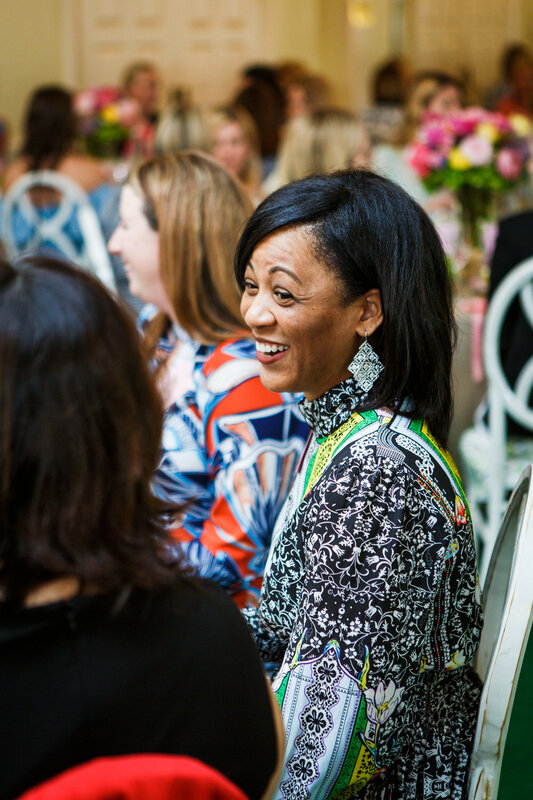 The featured speaker was Joi Gordon, president and CEO of Dress for Success Worldwide. True to her name, her presence and heartfelt words were a joy to experience. 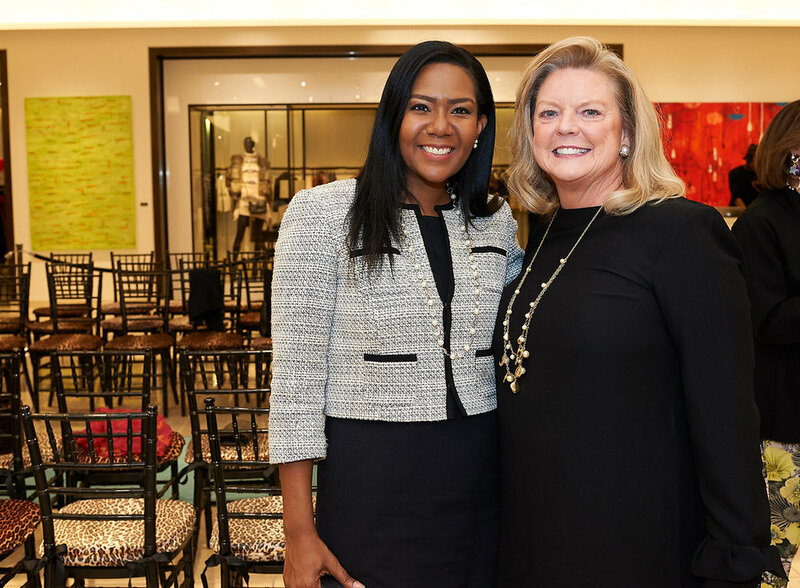 During her talk she revealed that of all the Dress for Success Chapter’s worldwide, the Charlotte chapter ranks in the Top 5 most successful branches. 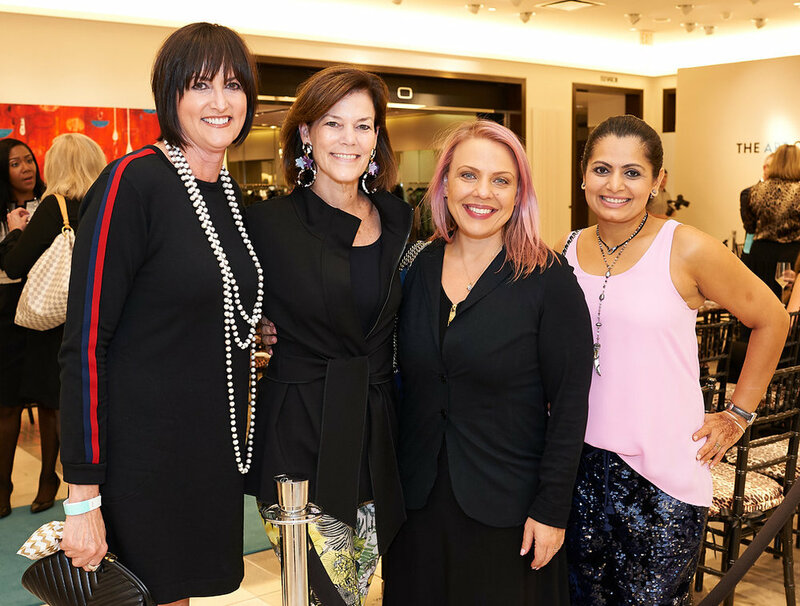 Much of that credit goes to Dress for Success Charlotte’s executive director Kerry Barr O’Connor, her outstanding staff and the generosity of donors including former NBA player and coach Paul Silas and his wife, Carolyn, a businesswoman and volunteer. 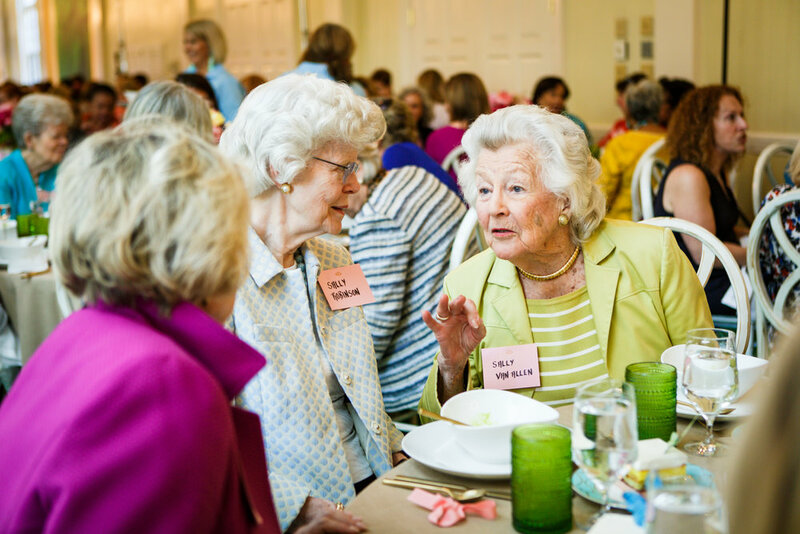 They were honored with the nonprofit’s Paradigm Award during the luncheon. In their acceptance speech. Paul said what an honor it was to serve the women helped by Dress for Success, and Carolyn thanked “angel” Marilyn Bowler for suggesting she get involved with the nonprofit. 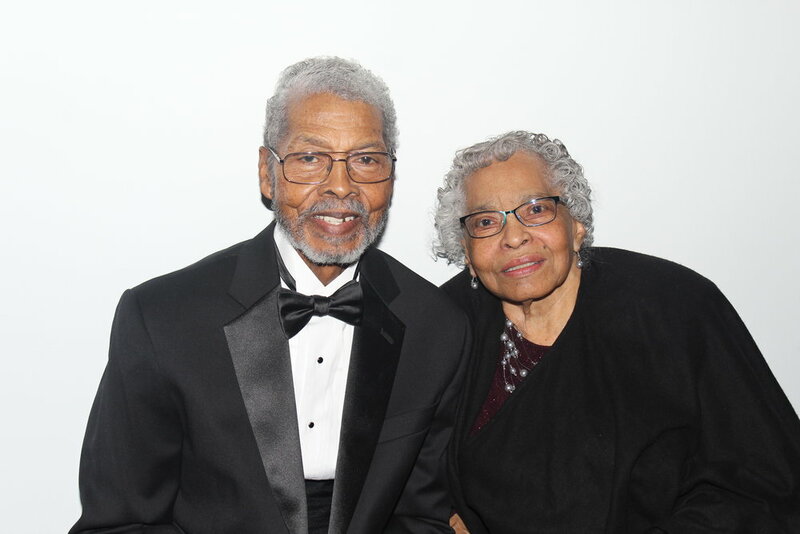 The couple were surprised with a video tribute produced by their children and grandchildren. 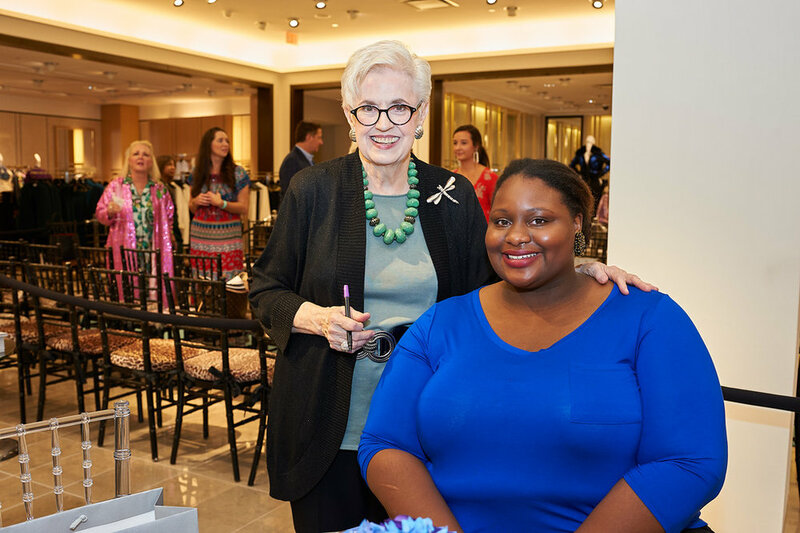 Another highlight was a moving speech by Dress for Success Charlotte’s Pam James, who talked about how she had personally been helped by Dress For Success when she was a single mother without a job or a strong support system. 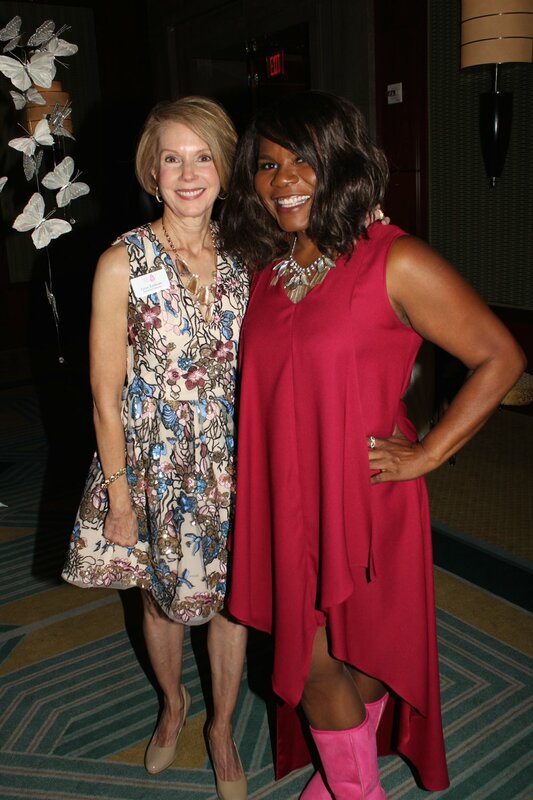 Emcee for the fundraiser was WBTV anchor Maureen O’Boyle and the presenting sponsor was Wells Fargo. TIAA sponsored the Paradigm Award. The lunch sponsor was Synchrony and the meal was catered by La-tea-da’s. 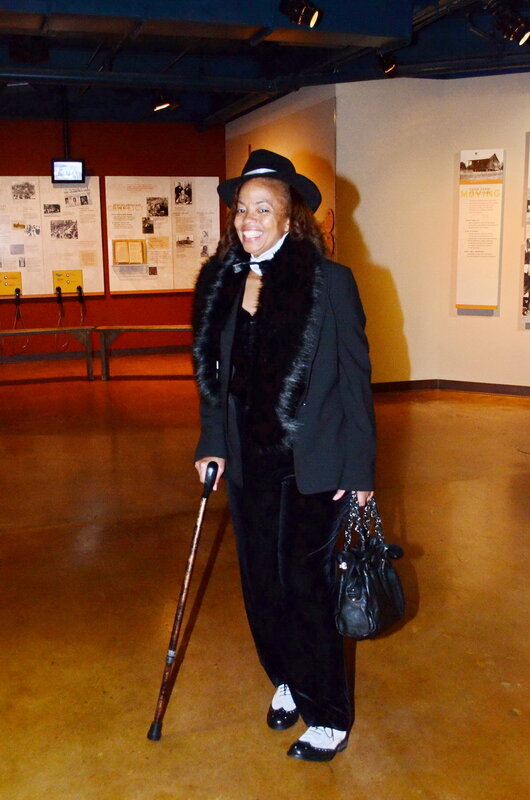 As guests left, each received a copy of the Swaggerer of the Month Calendar featuring the male business and civic leaders who don stilettos to raise money for the nonprofit during the fun annual Stiletto Swagger at Freedom Park. Dressed owner Bernadette Maulion judged the costume contest. 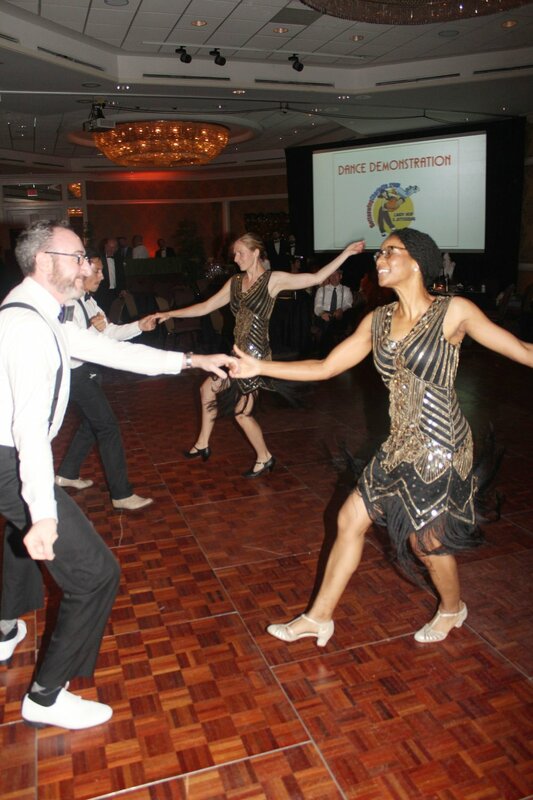 Guests at the 30th annual Great Gatsby Gala were transported back to the Roaring 20s during the benefit for the National Multiple Sclerosis Society's Greater Carolina's Chapter's mission of creating a world free of MS. Held at the Hilton Charlotte Center City, it featured a live orchestra, swing dancing, a costume contest judged by Dressed owner Bernadette Maulion, a silent auction, and heavy hors d'oeuvres and desserts from some of Charlotte's most celebrated restaurants. Details: www.nationalmssociety.org. 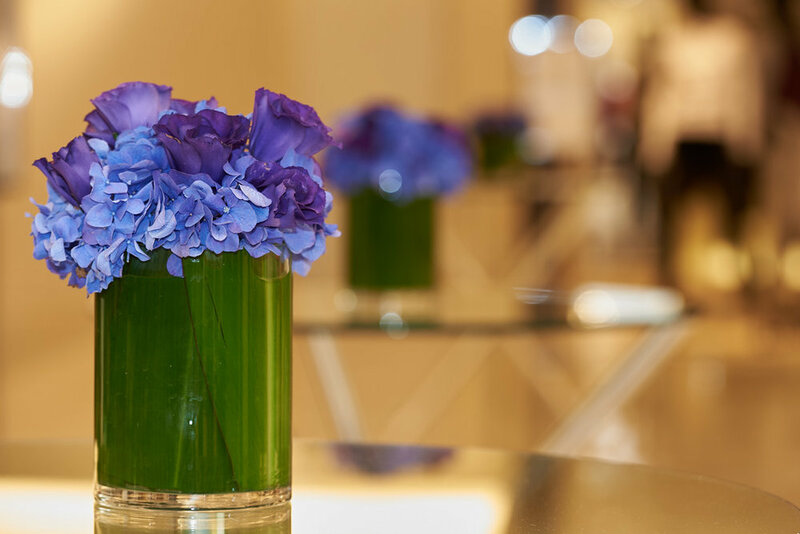 Watered Garden Florist created the stunning floral arrangements. 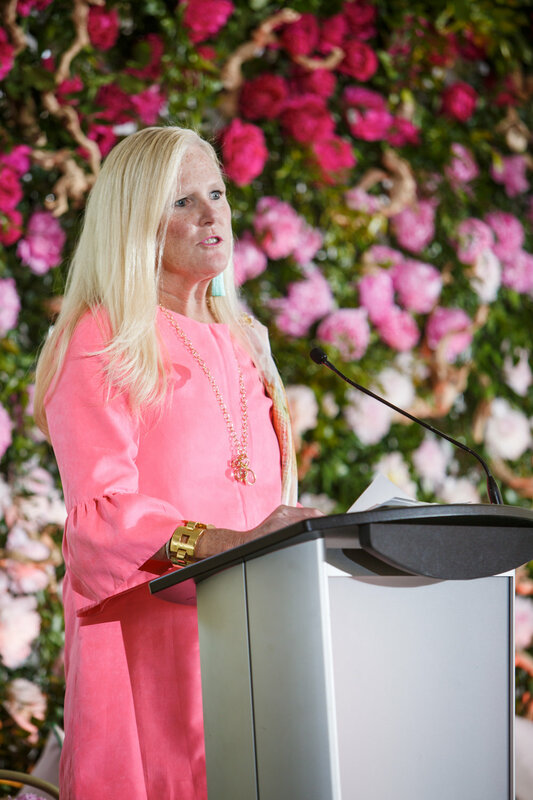 Catherine M. Austin Designs and Todd Murphy Events transformed the space into a spring garden inspired by fashion designer Oscar de la Renta. 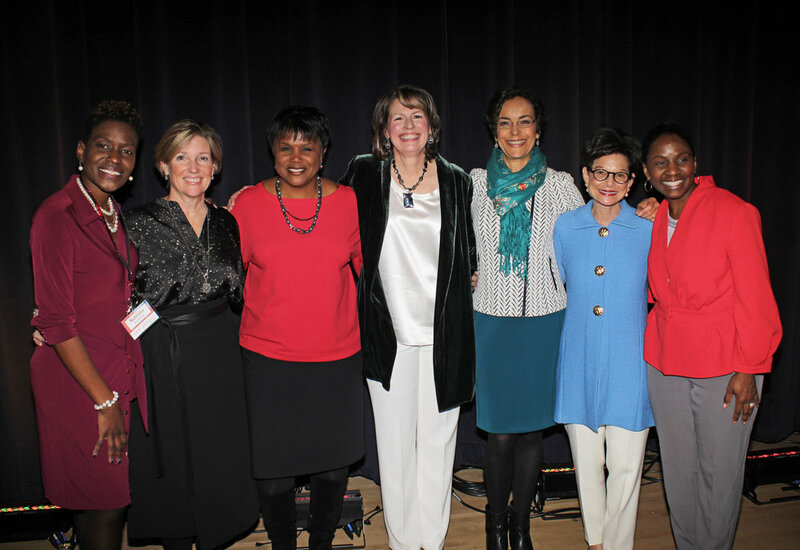 Charlotte Mayor Vi Lyles, center, was one of the hosts. Porcupine Provisions created the delicious spring menu. Speaker Alexis Jones’ stylish kicks. Sonja Gantt interviews Alex Jones on stage. 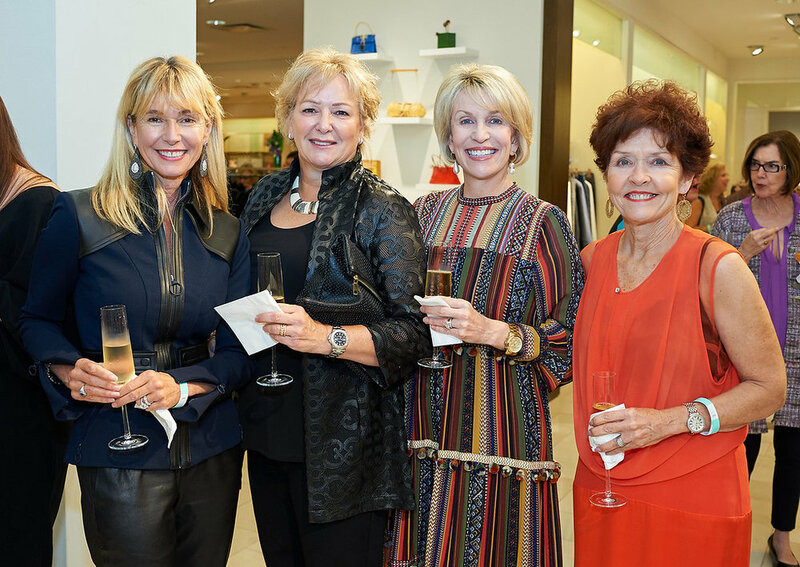 Sonja Gantt, Theresa Drew, Hillary Cooper, Nancy McNelis, Madelyn Caple and Pamela Davies. Queens University of Charlotte President Pamela Davies surrounded by students. 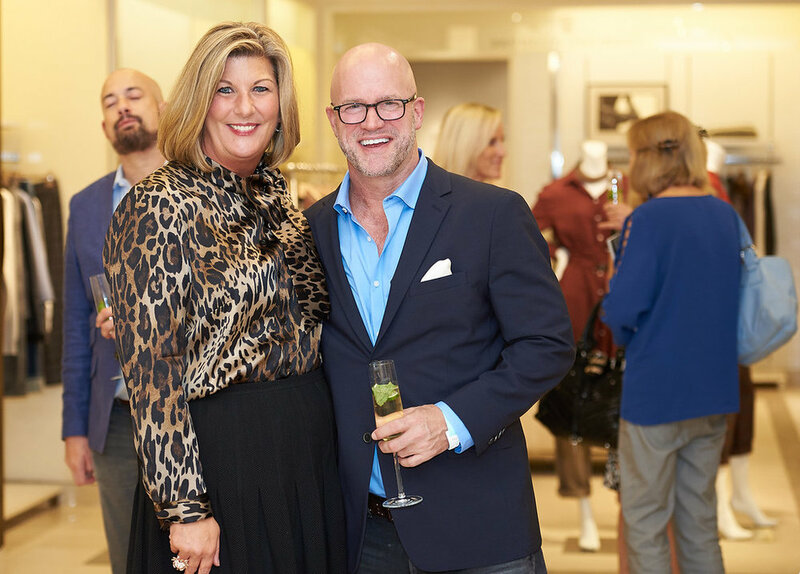 Todd Murphy (seated, right) of Todd Murphy Events helped design the event. 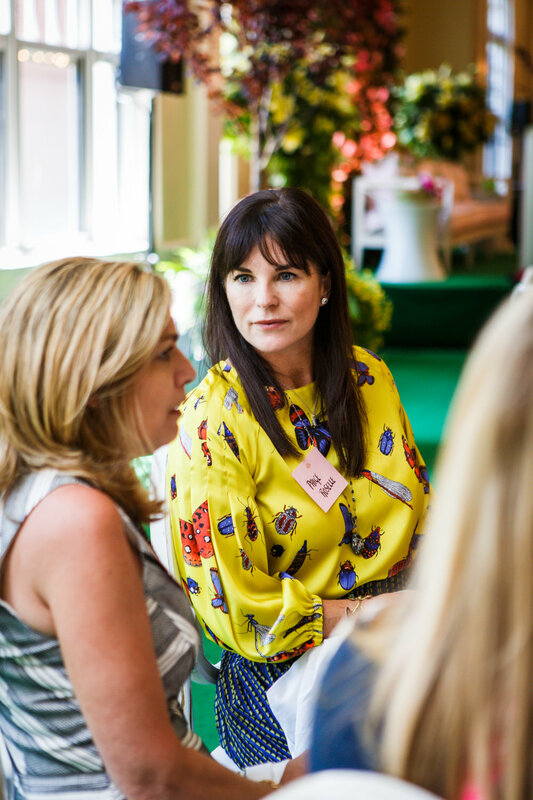 The Visionary Women Luncheon has a beautiful mission: to celebrate the power and purpose of women coming together to connect, listen and share. 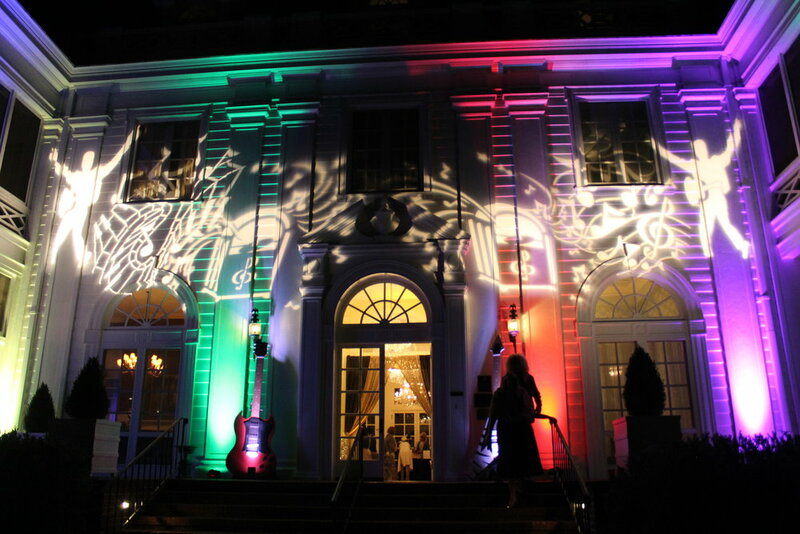 It's presented annually by Queens University of Charlotte, Wells Fargo Private Bank and the Mint Museum. 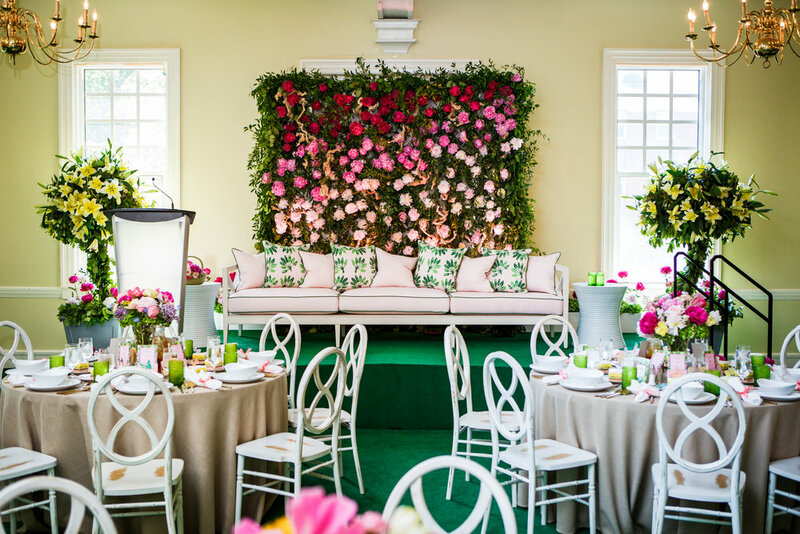 Catherine M. Austin Designs, Todd Murphy Events and Watered Garden Florist transformed the Frances Young Dining Room at Morrison Hall on the university's campus into a garden inspired by fashion designer Oscar de la Renta. 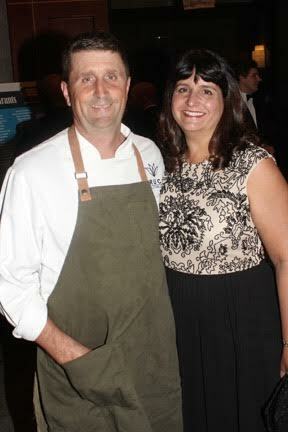 Porcupine Provisions created the delicious spring menu. 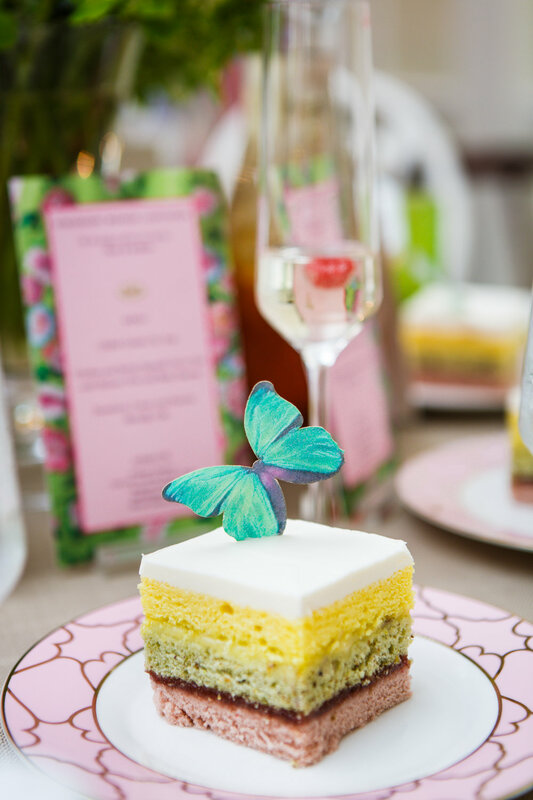 And Arzberger Stationers set the tone for the event by designing the gorgeous invitations. 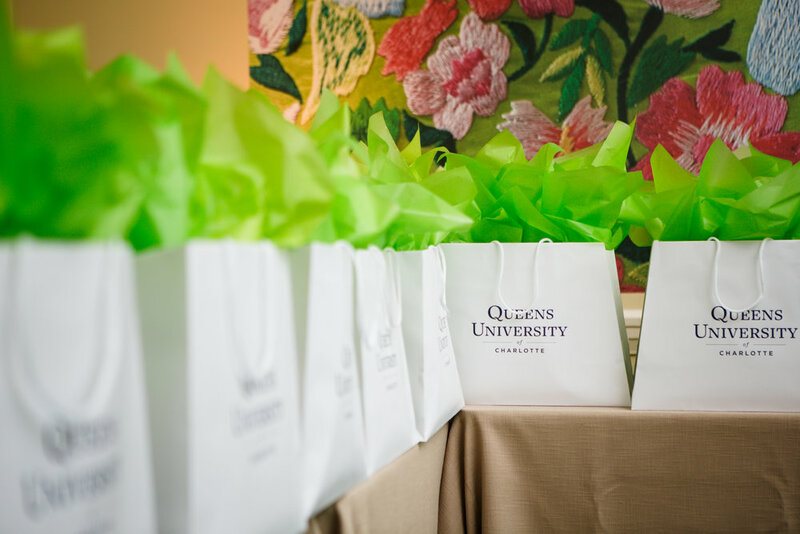 Along with honoring all women, the luncheon is also a chance to pay tribute to the past 33 recipients of the Queens University of Charlotte's Business Woman of the Year; and the Charlotte Woman of the Year program, which began in 1955. Charlotte's 2018 Woman of the Year is the university’s president, Pamela Davies. 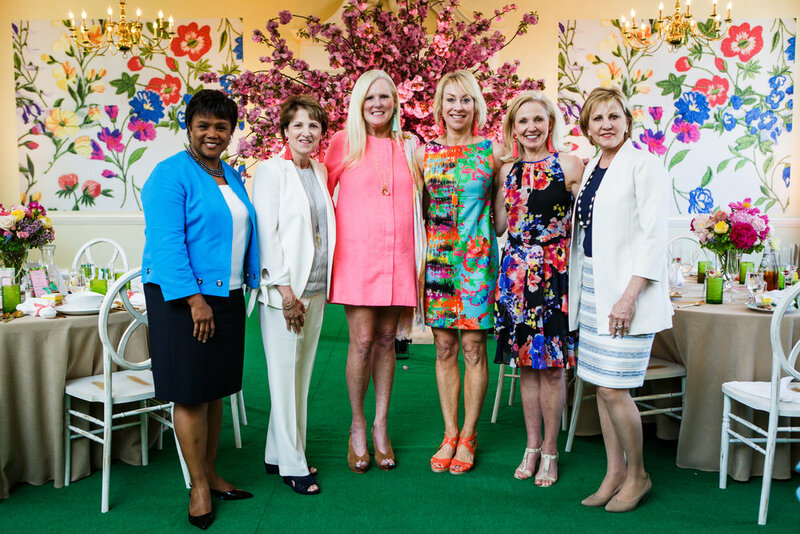 Host committee members Madelyn Caple, Pamela Davies, Hillary Cooper and past Charlotte Business Woman of the Year winners Joan Zimmerman, Theresa Drew and Mayor Vi Lyles planned an interesting program featuring speaker Alexis Jones. Alexis is an internationally recognized author, activist, speaker and media personality. She talked about her I Am That Girl nonprofit and why she founded the ProtectHer locker room program that educates male athletes on the importance of respecting women. 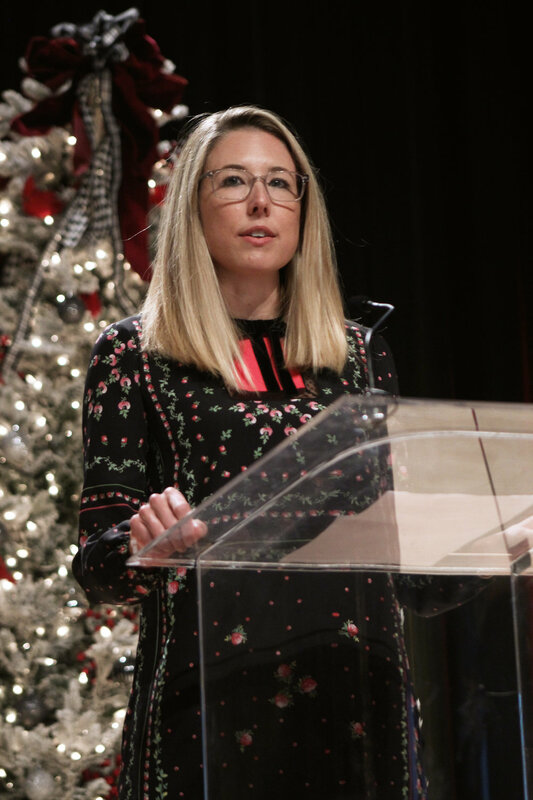 One of the most exciting moments was Madelyn Caple, Regional Manager for Wells Fargo Private Bank, announcing the Wells Fargo Foundation grant investments of over $750,000 in philanthropic support for nonprofits and organizations serving the needs of girls and women. 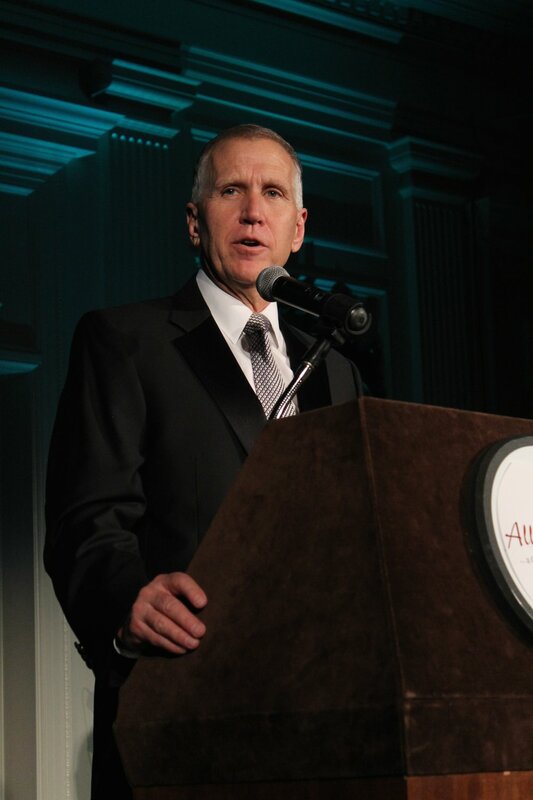 Along with generous donations to many recipients, it was also revealed that Wells Fargo is the lead $50,000 underwriter of Charlotte’s innovative new Family Justice Center in partnership with The Jamie Kimble Foundation for Courage. 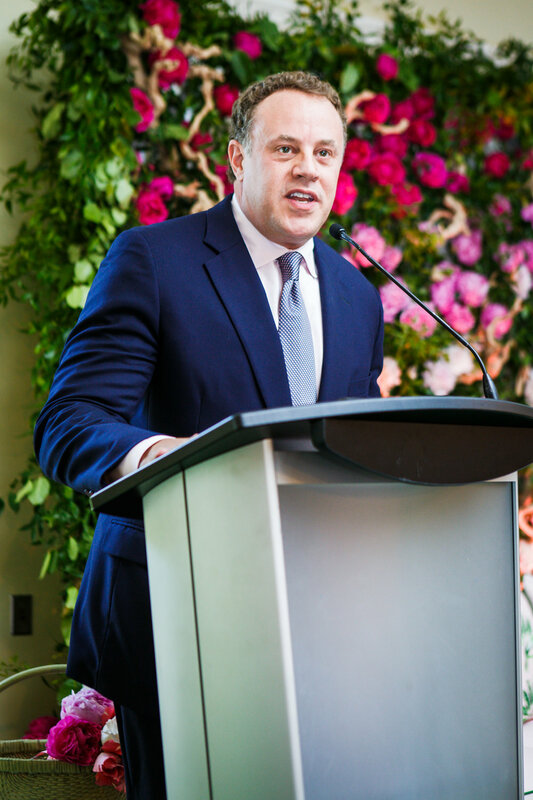 It will give domestic violence victims and their children access to all the services they need in a single place. 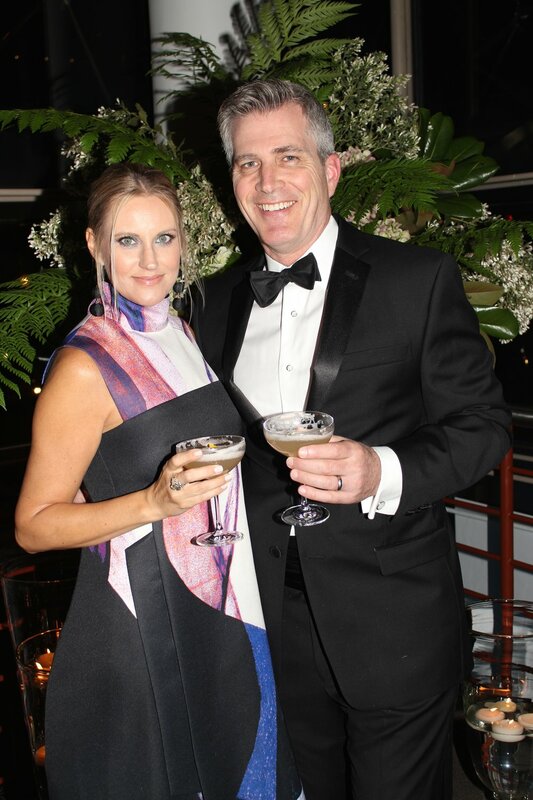 The 38th annual Speedway Children’s Charities Gala at the Ritz-Carlton honored 12-time NASCAR Cup Series champion team owner Rick Hendrick for his success on the track as well as his longtime support of Speedway Children’s Charities (SCC). 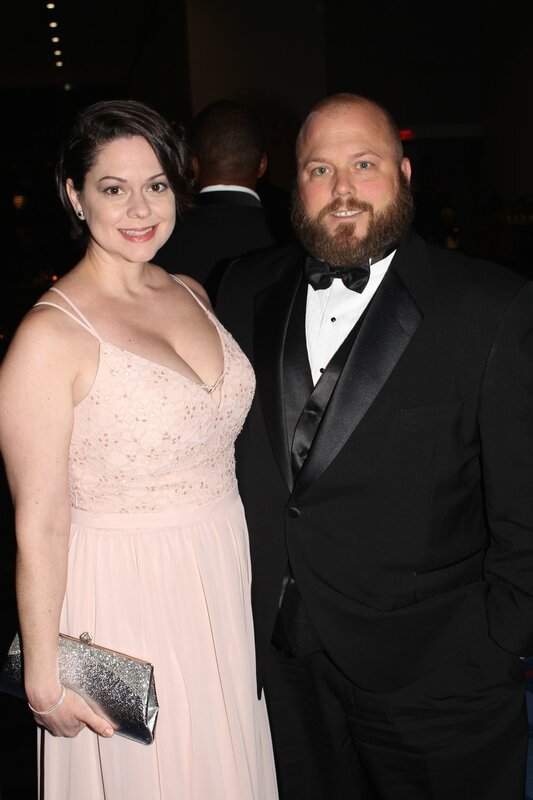 The black tie event is a fundraiser for SCC, which was founded by Bruton Smith and funds thousands of organizations nationally that help children. 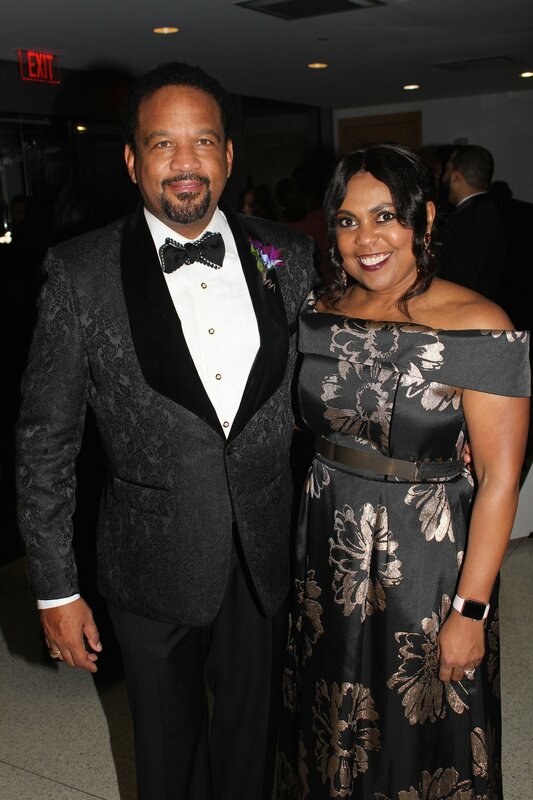 His son, Marcus Smith, is president of the Charlotte Chapter, which last year gave out $952,000 to 98 deserving charities in the Charlotte region. 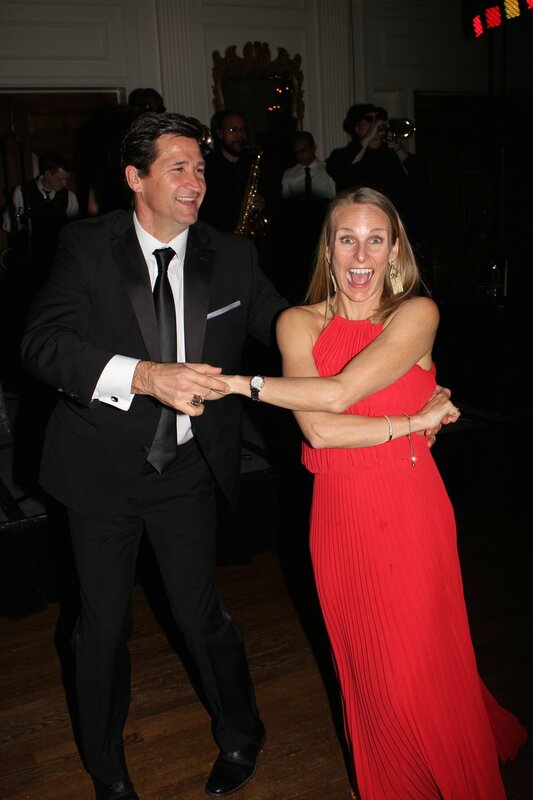 Marcus led the tribute to Rick during the evening that also included libations from The Punch Room, dinner from celebrity chef Bruce Moffet, a live auction and a performance by the country band Midland. Sherry Pollex and NASCAR’s Martin Truex Jr.
NASCAR champions Jimmie Johnson and Martin Truex Jr.
Carolina Panther’s Coach Ron Rivera and Jimmie Johnson. The country band Midland performs.